Thinking that yesterday (tea processing until 2am on Alishan) must have been the climax of this tour, we were in for an unexpected surprise on this day. 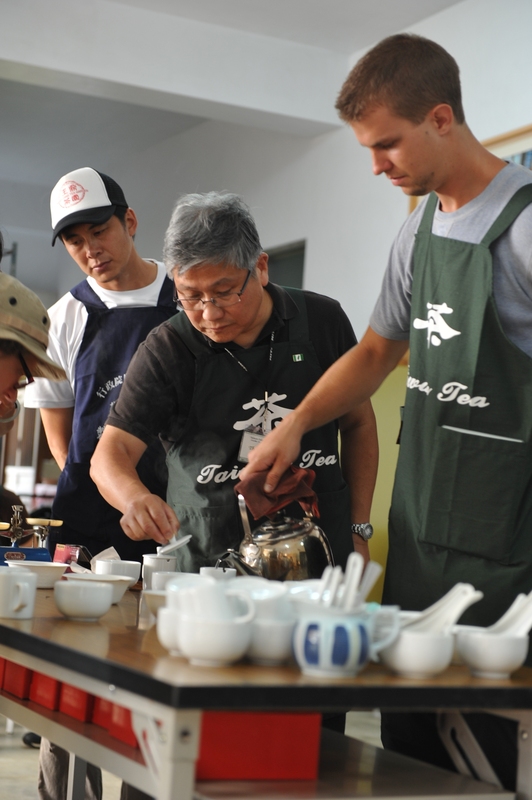 Tommy and Sunny, the two amazing volunteers on our tour, are heavily integrated in the world of tea. 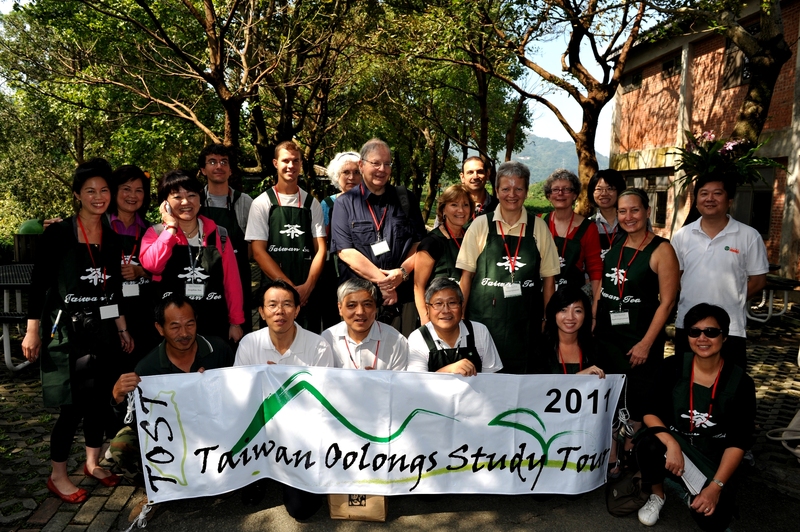 Little did any of us know just how involved they really were, and the direction in which they were spearheading Taiwanese tea. They and their family own a completely green and eco-friendly sustainable teahouse. It was probably the most beautifully decorated and designed teahouse I’ve ever seen. It’s quite different from other teahouse’s that might initially come to mind. It’s both a house for living and also hosting lavish tea ceremonies with themed rooms from a number of different tea cultures. The afternoon began with a well-spoken introduction given by Sunny, followed by a tutorial on baking tea, given by our very own Tommy, who unknown to us, turned out to be more than just a great photographer, but also an award winning champion tea baker. I don’t know much about tea baking, but Tommy demonstrated different baking methods in contemporary oven-like units and traditional bamboo units. 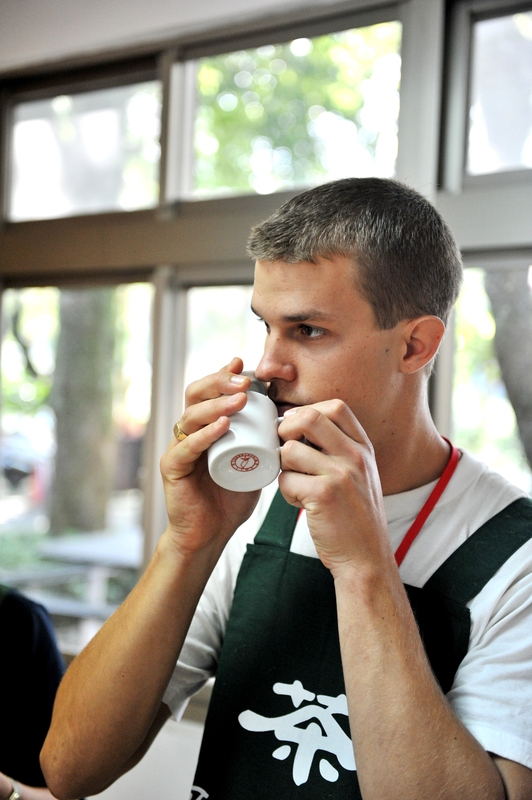 He discussed the affect of baking on caffeine levels, aroma, and aging properties in tea. At one point in the baking process, the caffeine in tea actually crystallizes into a white powder that collects outside the vent near the top of the baking unit. As you can imagine, it’s quite bitter! Following our introduction and tutorial, another cupping awaited! 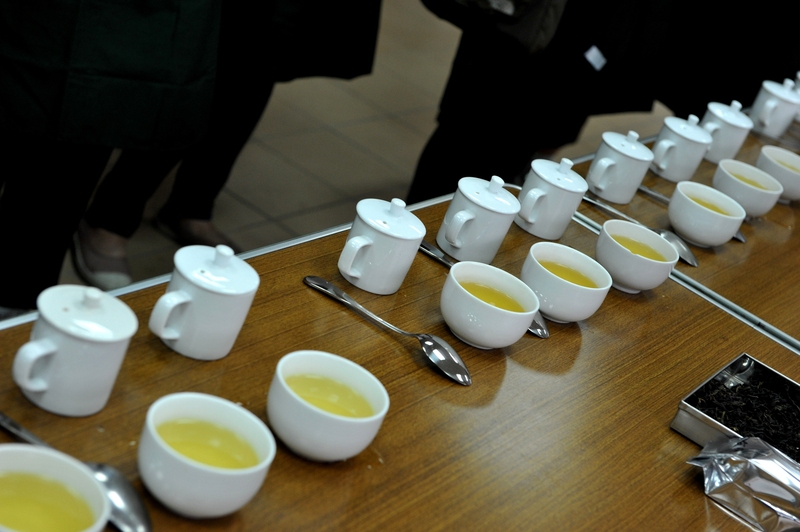 This time, however, we were fortunate enough to cup six of Tommy’s baked teas. Not only that, but the layout of the cupping event was contemporary and artistic, unlike the usual standardized display of white porcelain cups on stainless steel counters. Tommy and Sunny treated us with glass cupping cups – gorgeous! 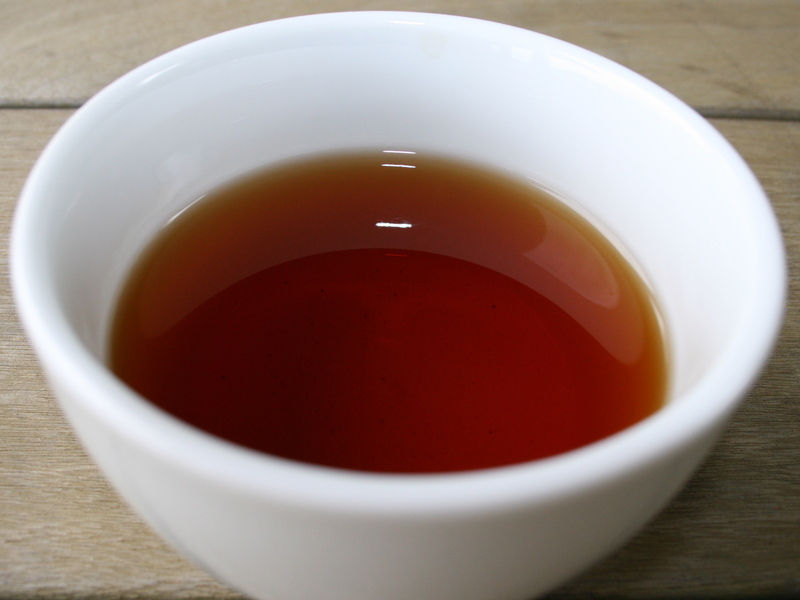 The loose leaf oolong tea was displayed in wine glasses to exhibit its colour and aroma. The concave design of wine glasses was not only beautiful, but practical for offering the aroma, just as it would be for wine itself. Of the six oolongs, the sixth tea had been aged for twenty years. I was four years old when this tea began its aging journey. This was easily the most enjoyable, long lasting oolong I have ever had. It is said that what separates good tea from great tea is the aftertaste, or the “returning sweetness.” Where some tea exhibits a flavour and body which soon after trails off, tea like Tommy’s might last for minutes, hours, and even days later – never really leaving ones memory. Drinking tea like this is really a heightened sensory experience; the aroma breaches the hull of ones olfactory receptors; the taste envelops the tongue and swells the palate; the sight imparts a smile upon the retina; the hands of this tea weave a quilted patch, fabricating the whole body with its warmth and returning sweetness. Okay, there’s still more, but I have to run! Wow, it’s going to be tough to even start this entry. Why? 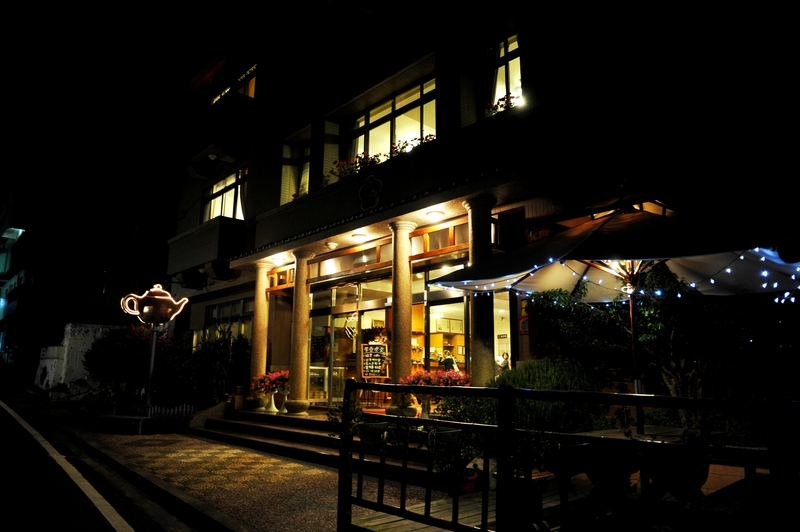 because somehow I have to summarize this: the day we made tea – which took until 2am – in Rui-Li, a small tea town on the famous AliShan range. Our day began with clarity in sky. At 11oo m above sea level, the mountain range view breaks free from the ubiquitous haze that surrounds the lower valleys. 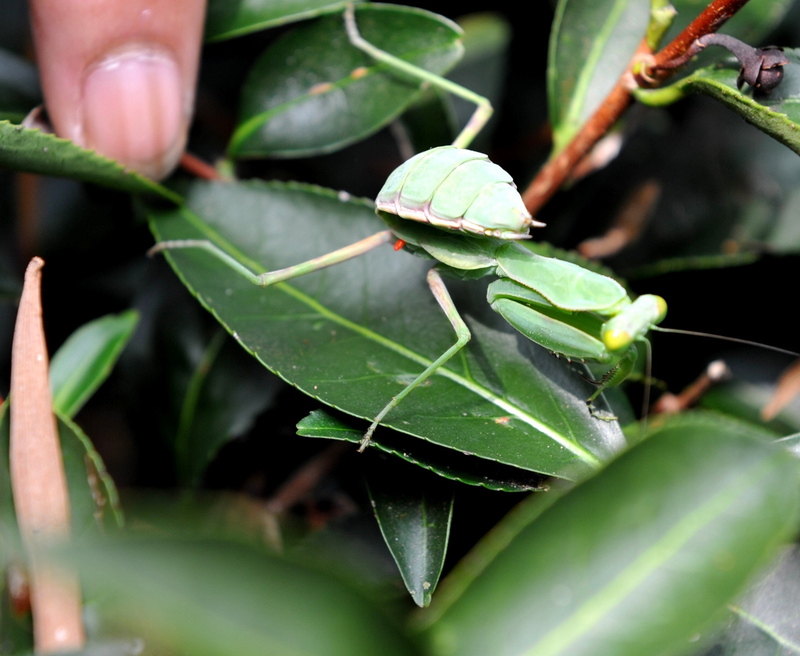 Before any serious tea processing of our own, we first witnessed some nearby tea pluckers and introduced ourselves to the little angels in the tea garden: the green leaf hopper. 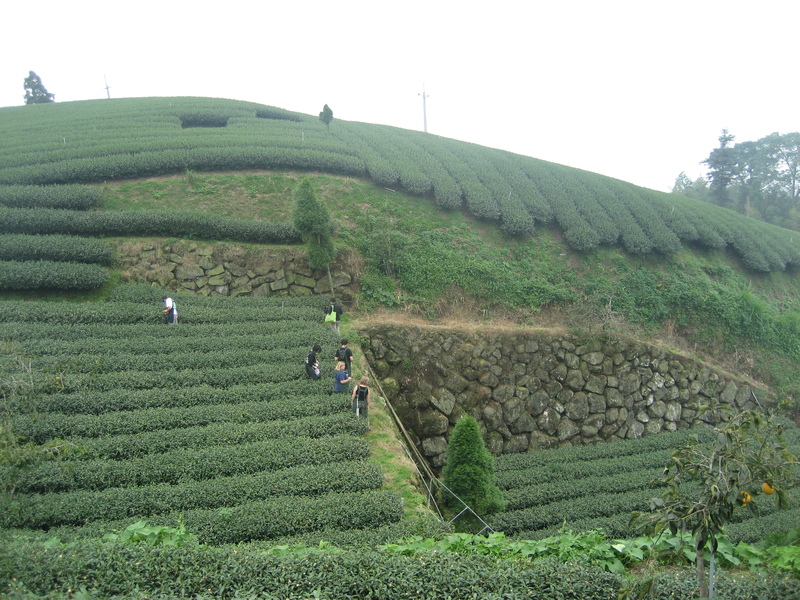 In this small mountain tea village, we need not travel far to see row upon row of tea evergreen. It’s similar in experience to looking out over the ocean with no land in site, but where the horizon once met the waters’ edge, it now blurs with the undulating flow of flushing tea leaves. 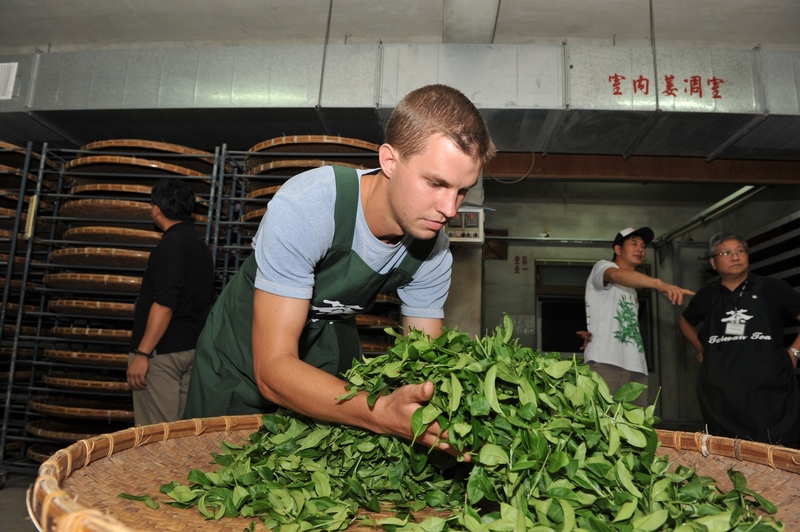 It was time to do something most of us had never done before: process tea – all day. We walked back to the Dong Ding Tea Garden factory where two bamboo trays of freshly harvested tea leaves awaited each of us. 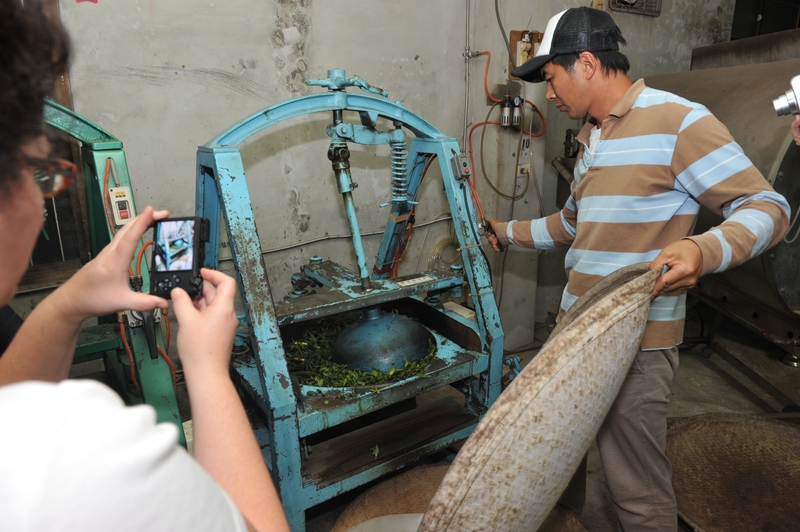 We were about to begin making our own High Mountain lightly oxidized Oolong tea from the Chin Sin cultivar. 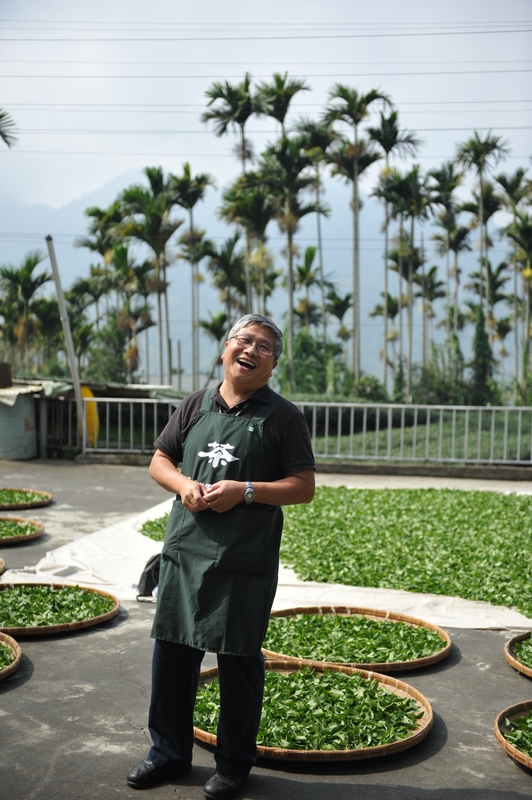 Meet Mr. and Mrs. Wang, the award-winning resident tea makers at Dong Ding Tea Garden. They’re young, open-minded, and hard-working enough to run this full-time factory while caring for their two children on a mountain range that requires 36+ complete switchbacks to drive up! 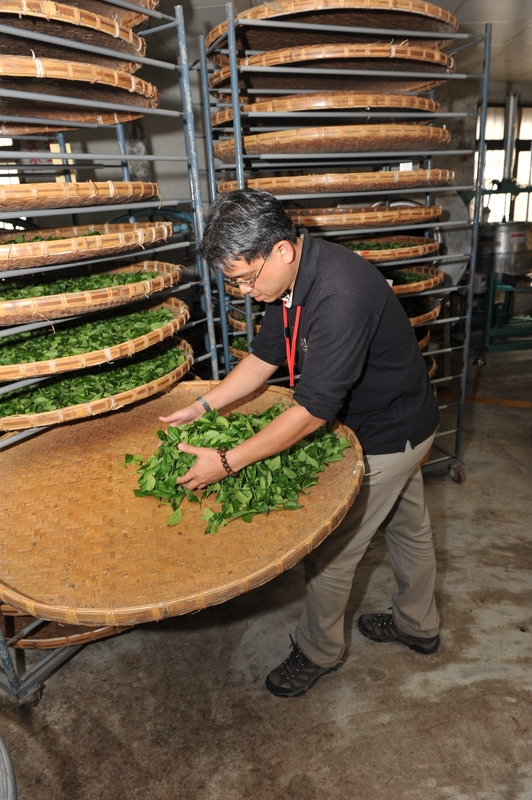 Mr. Wang, at age 18, started to take over the factory for his father and now has 20 years experience as a farmer and tea processor. 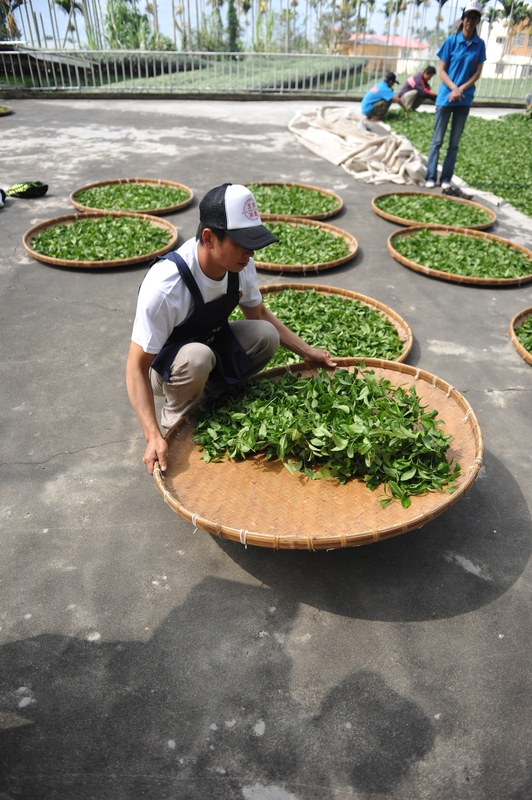 It’s interesting to note that most farmers don’t process their own tea, but rather pick it and sell it to a tea manufacturer for future processing. 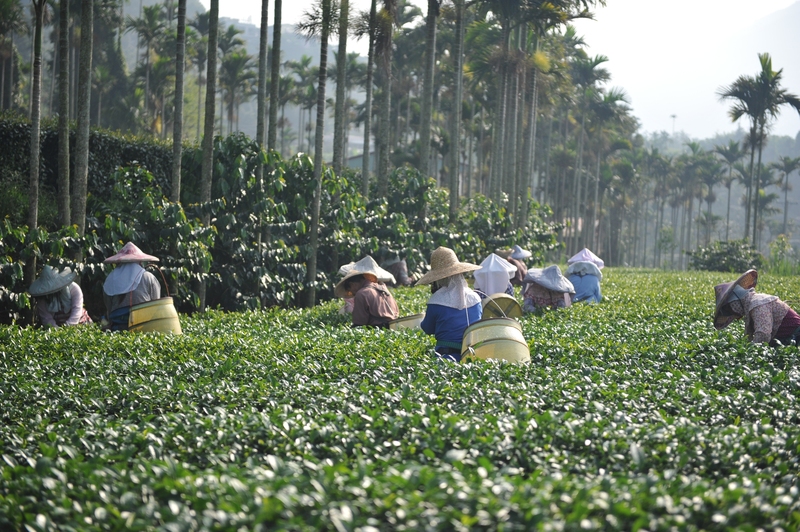 From the farm to your cup; making tea is more of a compartmentalized system of specialists; farmers, pickers, manufacturers, bakers, blenders, brokers, wholesalers, retailers, and finally, the consumer. 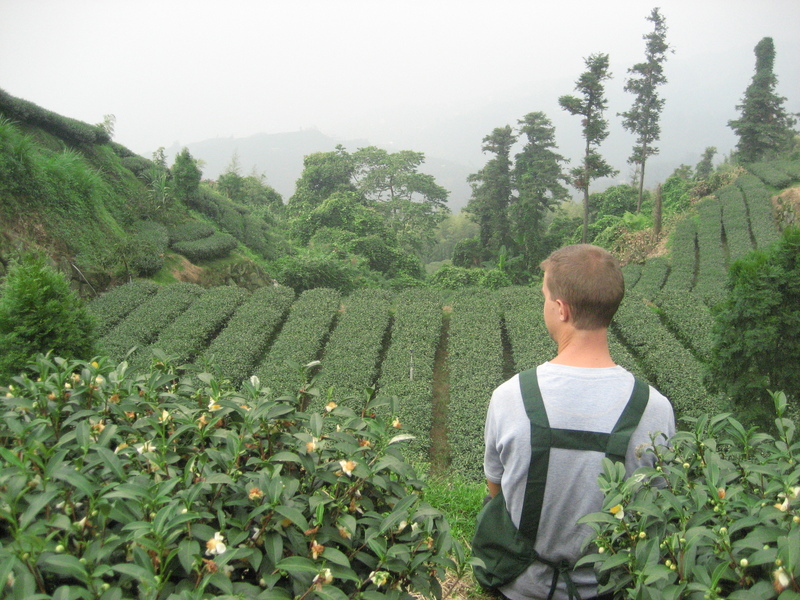 This is the difference between a large-scale commodity like Taiwanese tea and the cottage industry of Hawaii-grown tea where farmers do everything themselves on a very small, manageable scale. Blessed by light sunny weather, we gathered our tea trays and set them out to wither, but not before Mr. and Mrs. Wang showed us their electronically controlled shade and rain protection. 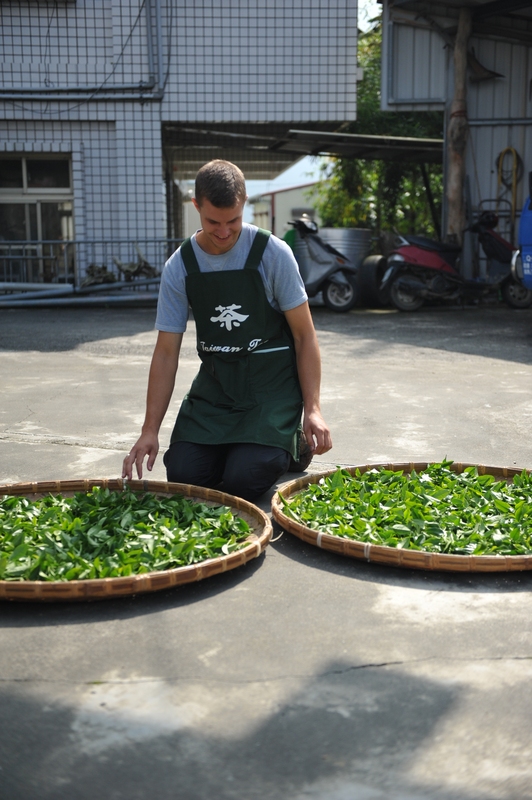 Based on the heat of the sun and the feel of the leaves (gauged by the tea master and on-site Scientist), we shuffled our trays of tea leaves back and forth from sun to slight shade. This process is known as (outdoor) withering. 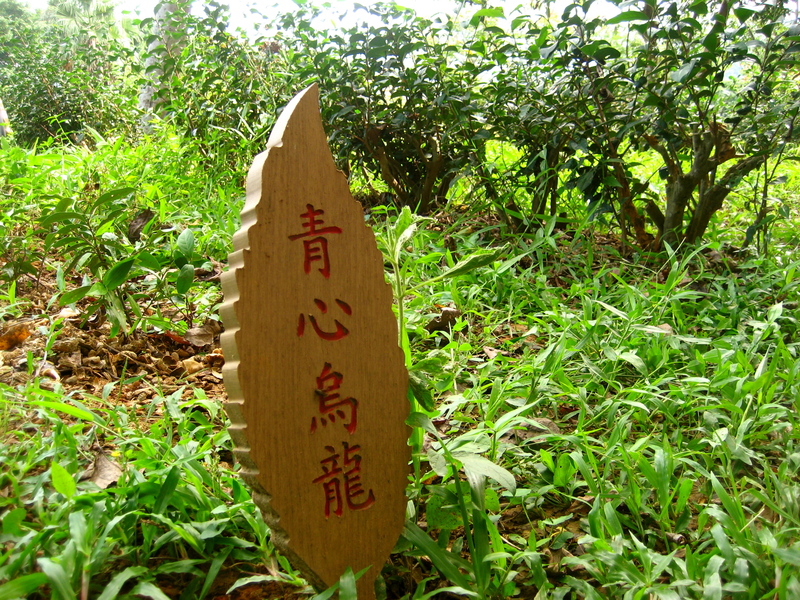 The leaves gradually lose moisture and start to wilt because of the heat. 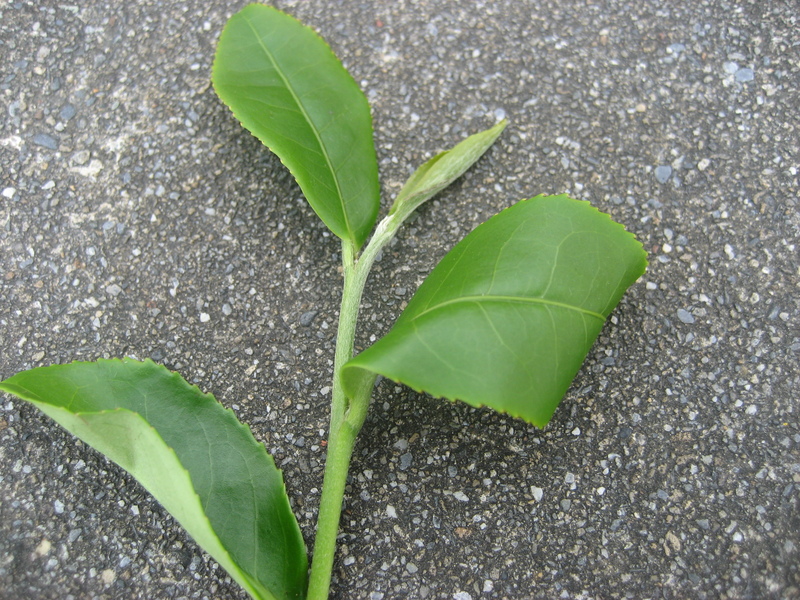 The leaves initially lose moisture through the pluck of the stem and also pores on the back and edges of the leaf. 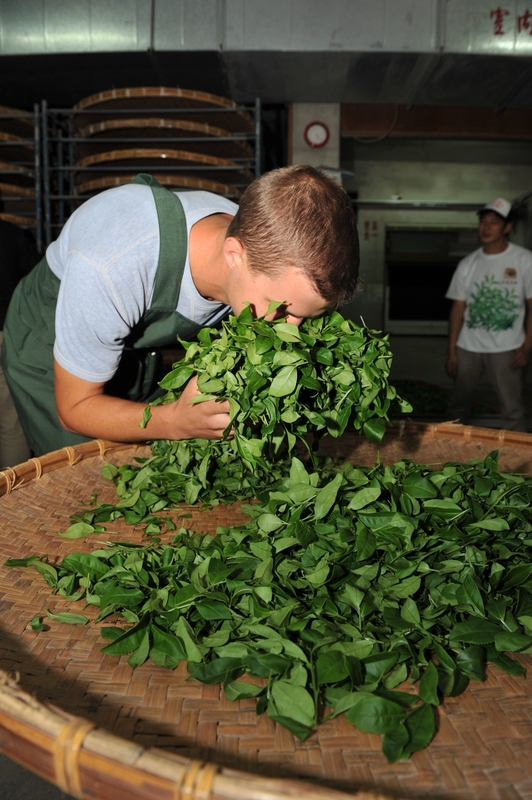 The leaves become more pliable, lose their luster, and take on a noticeable change in aroma. Even more subtle are changes that only the tea master is experientially aware of. To coax the leaves as they wither in stillness, our fearless leader and Taiwan Tea Ambassador extraordinaire, Mr. Thomas Shu, sang a beautiful Taiwanese tea song. 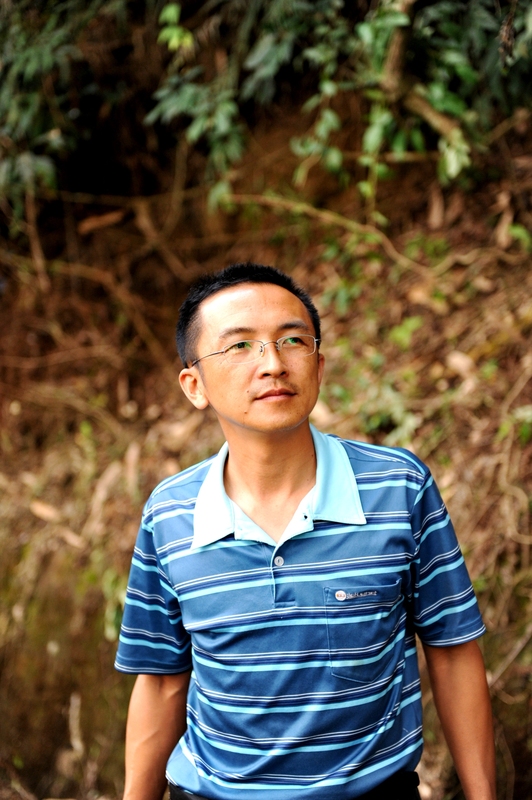 Thomas Shu writes songs for each Taiwanese tea. Not only does he have a great voice, but he sings with all the warmth of his heart. I’m not sure I’ve met anyone as passionate about Taiwan and Tea as this gentlemen among gentlemen – possibly only his wife, Josephine Pan can rival him in devotion to Taiwan and Tea! 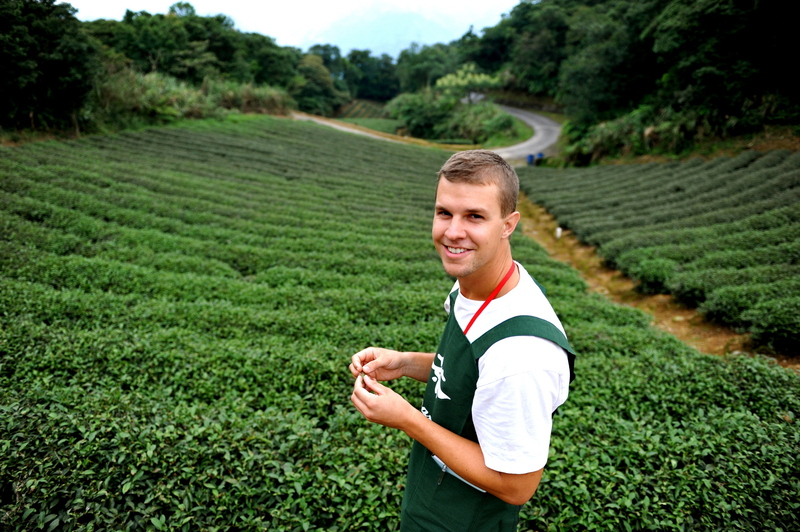 As well, Thomas carries on the traditional name of “Tom” as the derivative of many famous names in the world of tea. I believe such a step hardly bruises the leaves and more importantly shuffles them for uniform withering. After two sessions of “rocking the green” we took our leaves indoors and out of the direct sunlight. 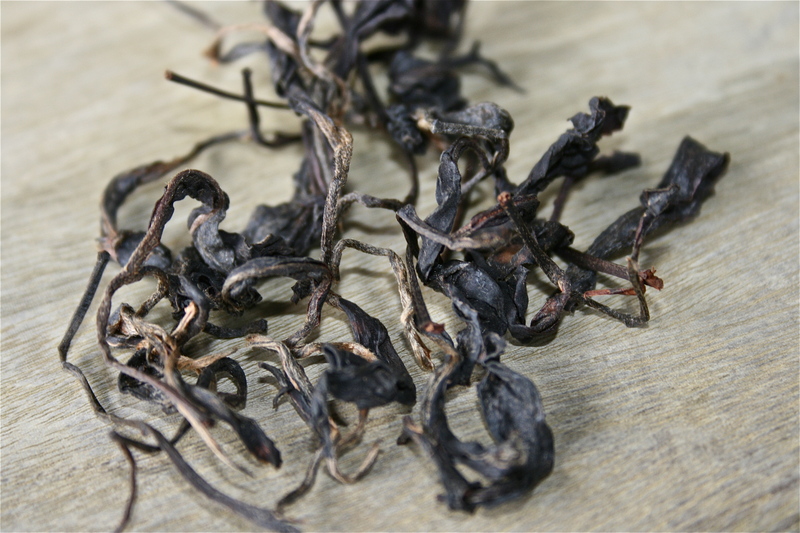 This is an example of an outdoor withered leaf. It has become more pliable and the glossiness has faded, a sign that a new stage of processing is approaching. I might mention here that the times for each withering and each step in between can vary greatly, so while in general it would be somewhat helpful to label the time intervals, I have left those details out because each step is ultimately subject to change by the variable factors that exist. Remember: Tea is about breaking down preconceived notions. It’s really up to the tea master in that moment to choose what to do and when to do it. When Mr. Wang says rock the green – we rock the green. 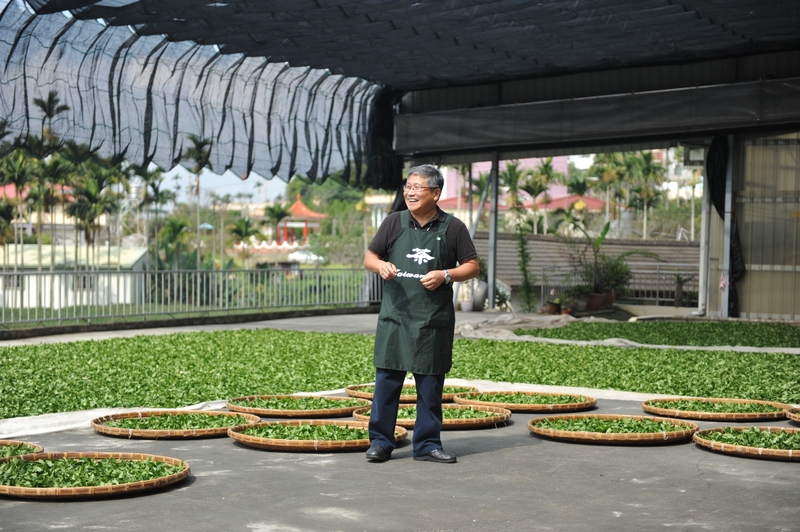 And when Mr. Wang says, “hey, lets go visit my awesome smiling tea garden while the tea withers indoors,” we do that too! 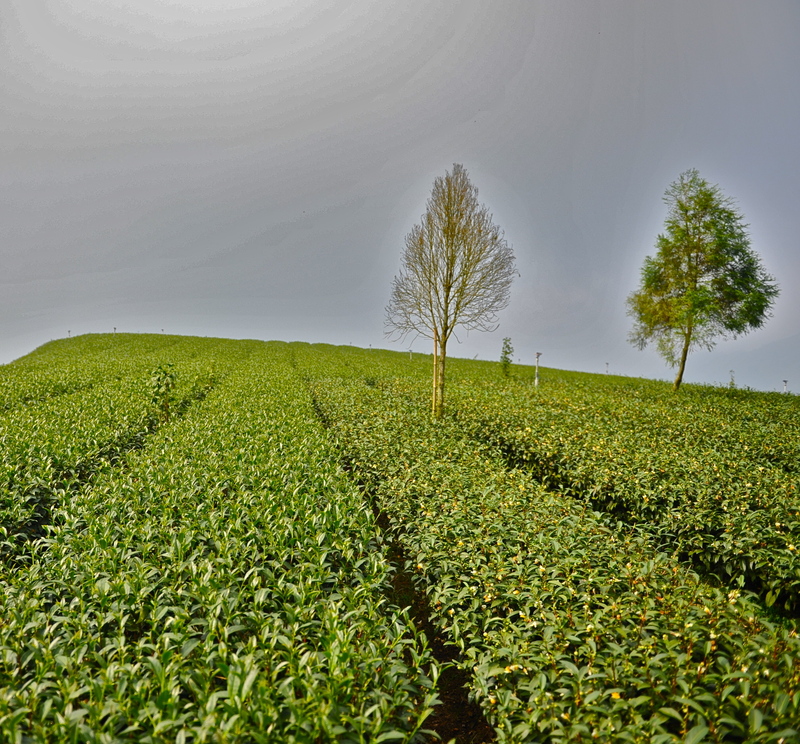 I’ve always seen images of tea gardens like these (well…maybe not quite like this), but I didn’t actually think they existed like this. It was truly a joyful moment. But, back to reality! 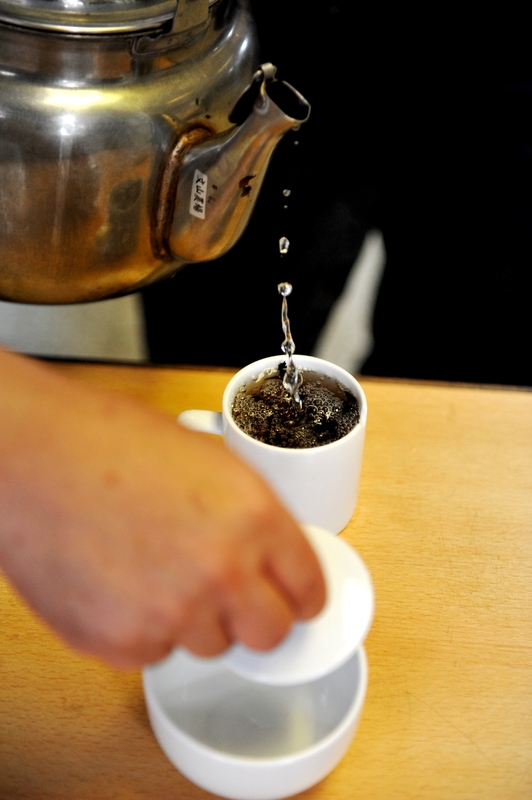 we had tea that needed tending to. This was the process of indoor withering that I call tumbling. Actually, I missed something: first we did ANOTHER cupping and then Dr. Steve proceeded to show us how to properly tumble our leaves by hand. It’s a very meditative process involving circular graceful motions – like massaging each leaf. 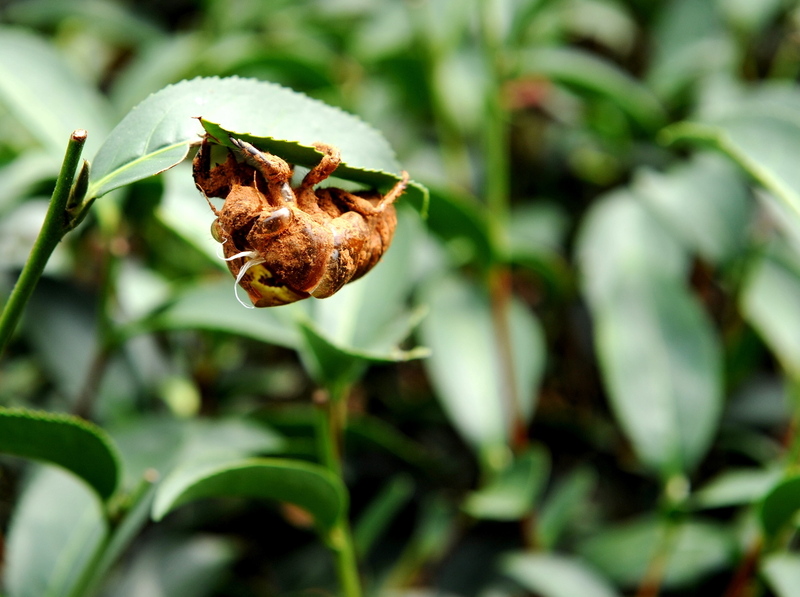 In a more scientific description, tumbling apparently ruptures the cells on the back face of the tea leaf, closing off one more of the three points of moisture loss. The first was the plucked stem, which oxidizes soon after plucking and naturally prevents moisture loss. 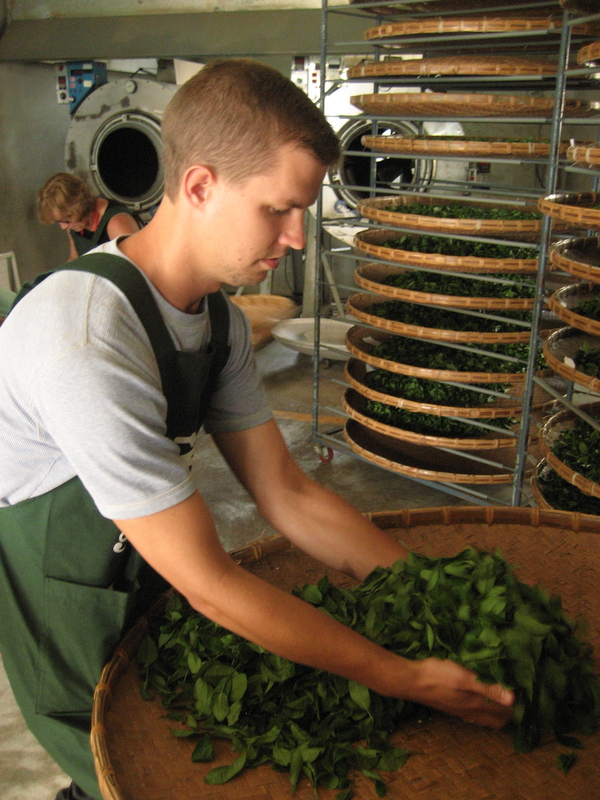 Nothing smells better than freshly harvested and partially processed tea leaves, except maybe the final product. I liken the smell to crisp apples, un-ripe bananas, and high sharp sweet notes. The aroma changes throughout, deepening here, softening there. After three sessions of tumbling, each with increased amounts per session, we were ready to stop the withering process and CUP MORE TEA. 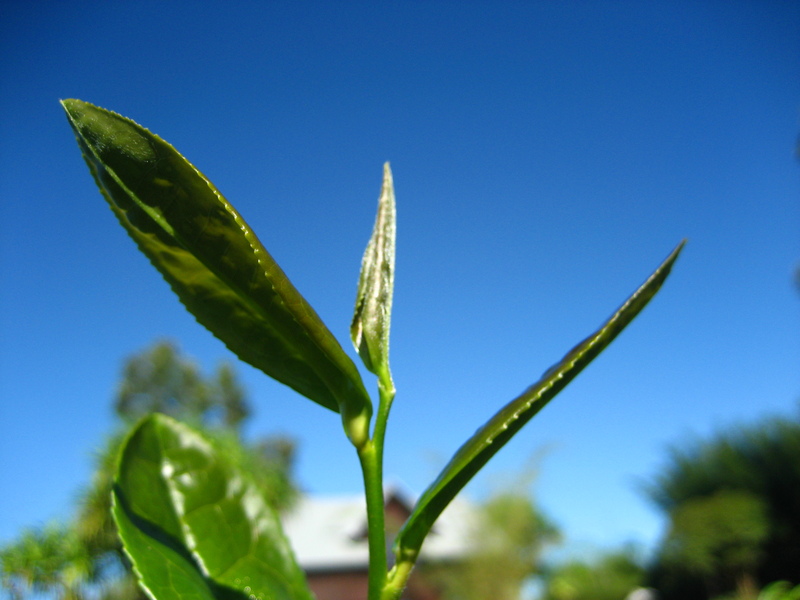 Now, if you’re still keeping track, and I don’t blame you if you’re not, but there is only one more point of moisture loss – the edges of the tea leaf. In order to stop withering, we amalgamated our tea into a slowly rotating bamboo chamber for some twenty minutes or so. This is an important step that distinguishes the difference between withering, not withering, and oxidation – with respect to tea. Chemically speaking, this tea is already oxidizing. Withering has to do with resting and moisture loss. Naturally, to stop withering, one would set the leaves in motion and stop moisture loss. This is where the bamboo chamber comes into play. It slowly rotates and tumbles the leaves continuously. 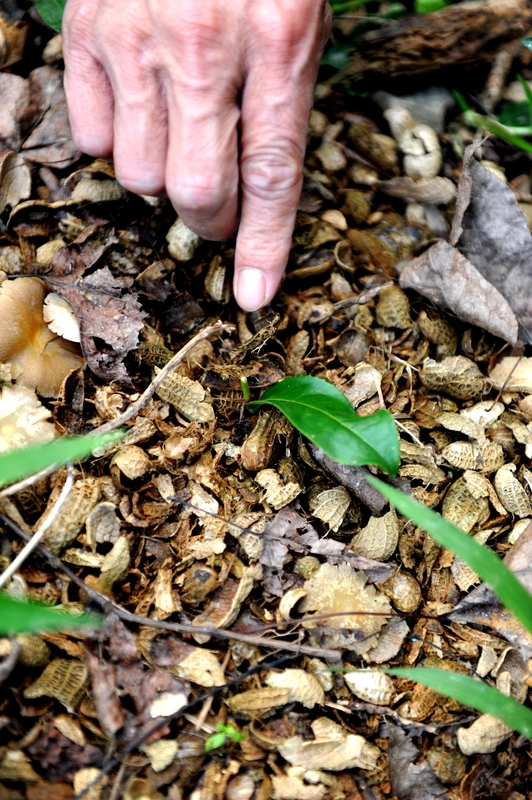 This lightly bruises the edges of the leaves, causing them to brown, which prevents moisture from escaping. Thus we are putting a stop to withering! I know this picture is not focused but notice the precise browning around the edges. It’s a very controlled and gentle process. The leaves are still fully intact and not torn at all. Most people were pretty tired and restless by this time, but tea never sleeps! Onto Oxidation. 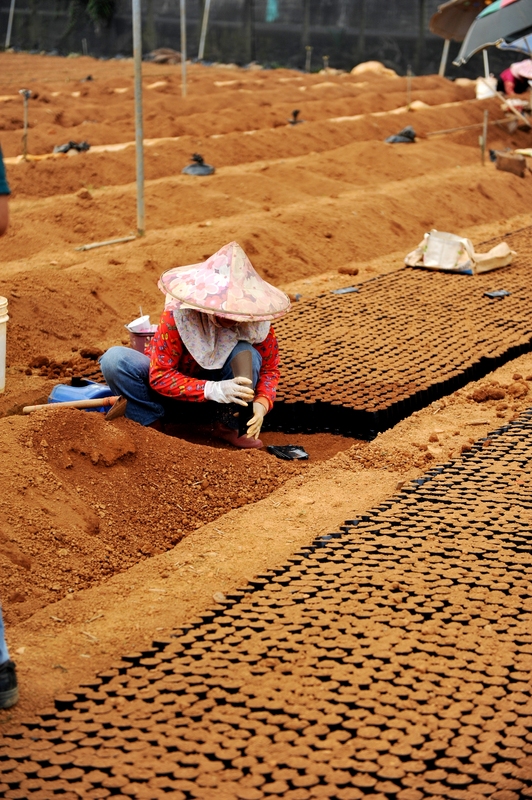 Once the leaves were emptied from the bamboo chamber, they were weighed and stacked densely on bamboo trays to promote the build up heat which greatly speeds up the oxidation process. If you imagine cutting into an apple, this is the affect of oxidation, synonymous with enzymatic browning. There are enzymes and organic compounds found in tea that in the presence of oxygen, react to generate this browning effect. This also required some hand tumbling (and more cupping…) before moving on to the next stage. 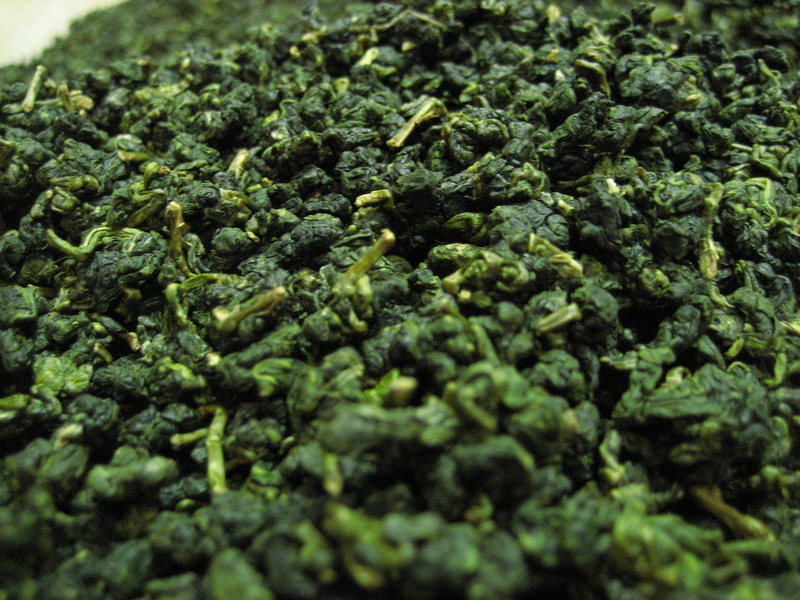 The tea master decides when the tea leaves have oxidized enough to yield the desired outcome, in this case, a low oxidized, high mountain Oolong tea (Jade Oolong). Similar in concept to putting a stop to withering, so too we must put a stop to oxidation. In fact, this is possibly the most crucial of steps! 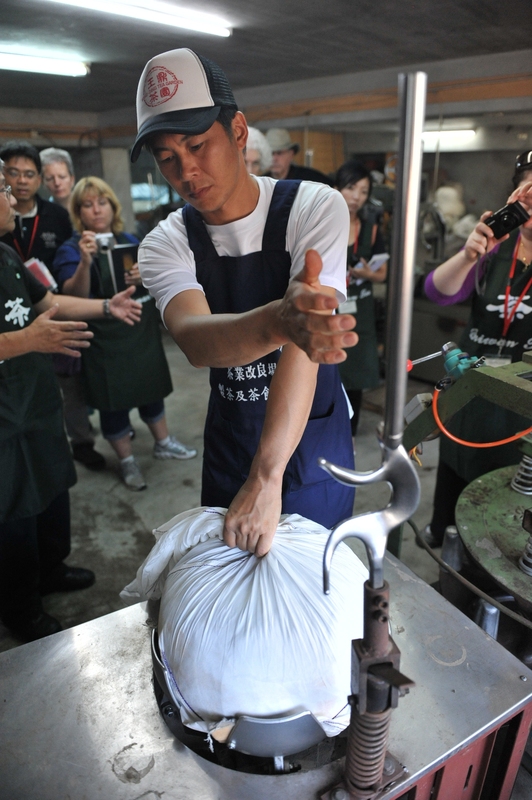 The two main factors in defining a tea are the processing methods and the level of oxidation. You’ve either got a non-oxidized tea (green), partially oxidized tea (oolong), or fully oxidized tea (black). White and Yellow teas are a little more tricky to define, but still fall under the green or oolong category. 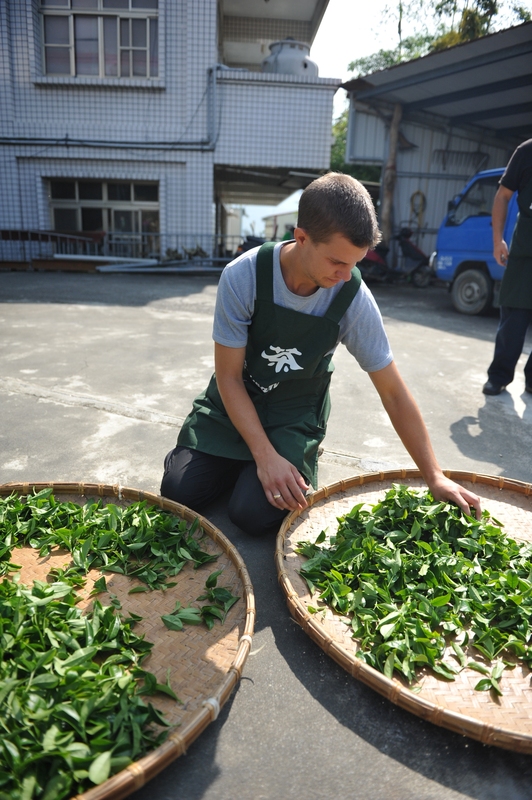 Puer is also another animal all together, as it can be fully oxidized or not oxidized at all, and both go through a post-oxidation step called fermentation. 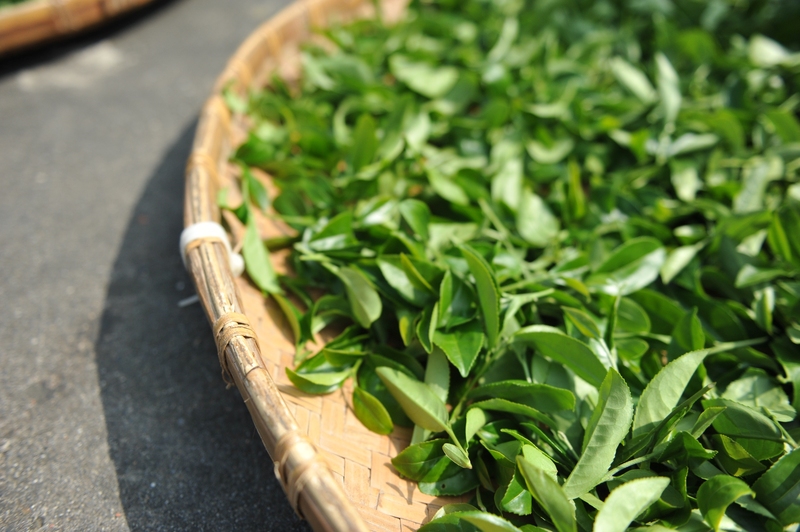 Since the enzyme catalyzes oxidation in the tea leaf, one must rid of the enzymes to stop oxidation. 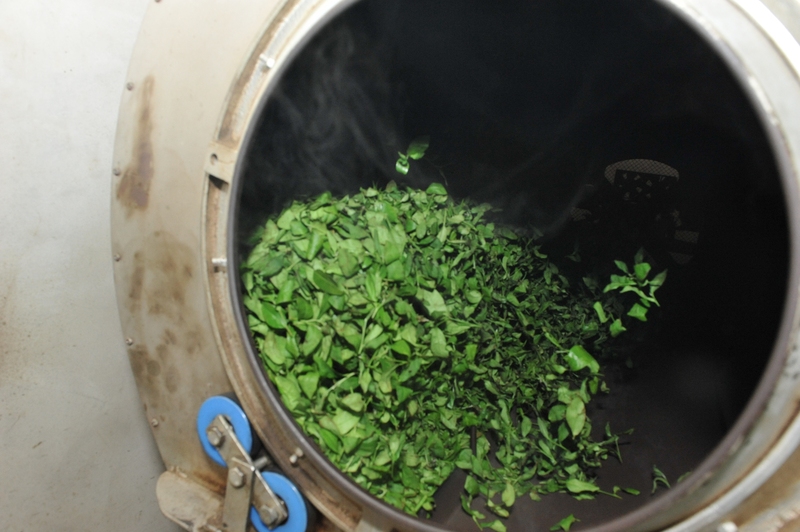 This is done fairly easily by simply heating up the leaves beyond a certain degree, effectively killing the enzymes. 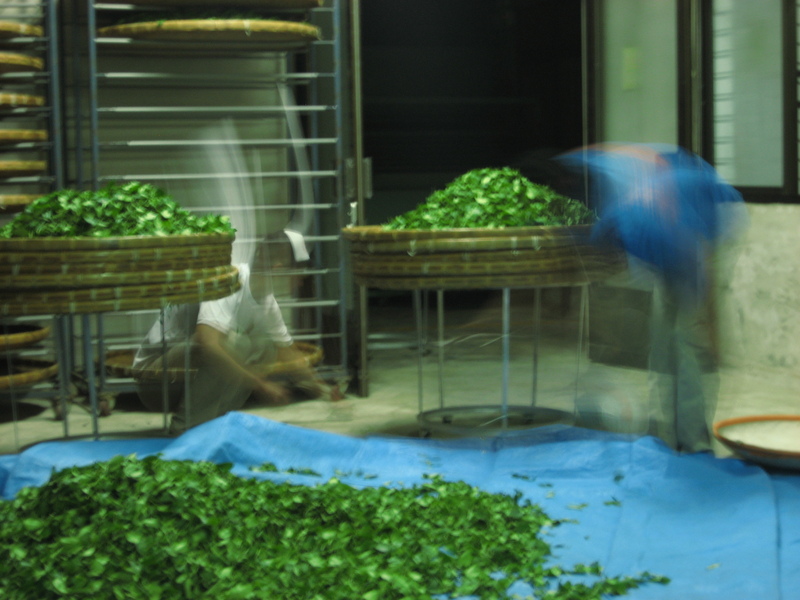 There are various ways to do that, as there all with all of the steps I am describing, but in this case, the farmers at Dong Ding use a panning machine. This machine heats the leaves to a very high temperature for a short period of time (~5 minutes). 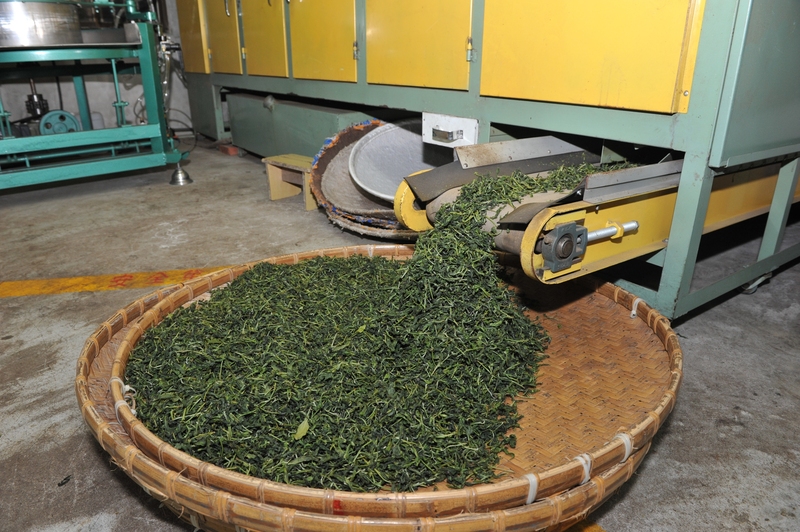 The leaves are removed and quickly taken to a high-pressured rolling machine that spreads and coats the exterior of the leaf with its own juices. 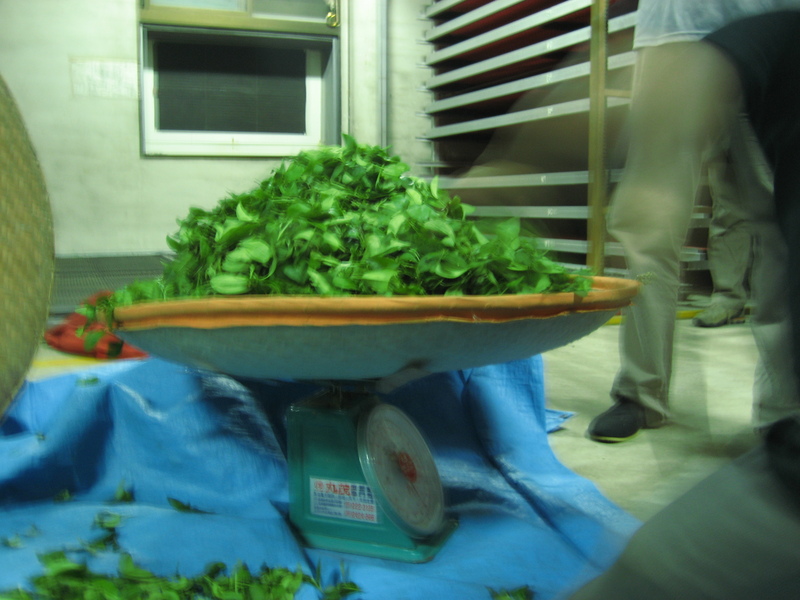 Again, this is carried out for a relatively short time before being thrown into another panning-like machine but without any heat to aerate and separate the leaves. 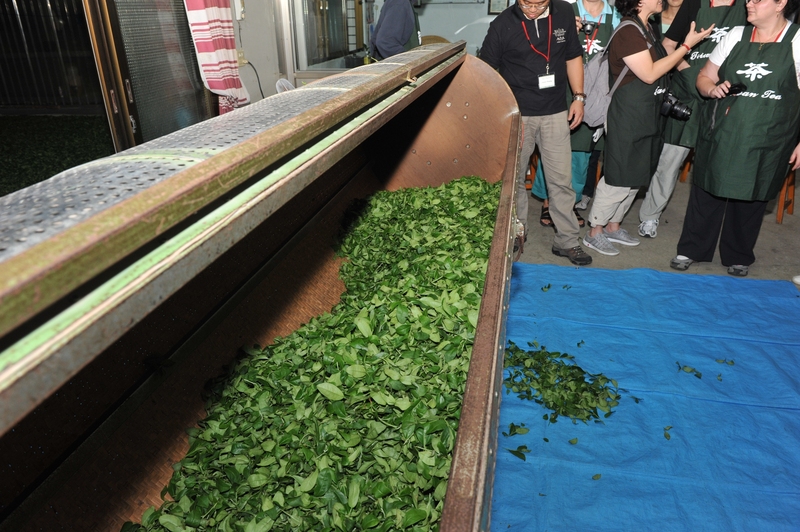 Finally, the leaves are taken to a drying machine that slowly heats the leaves on a series of conveyor belts. 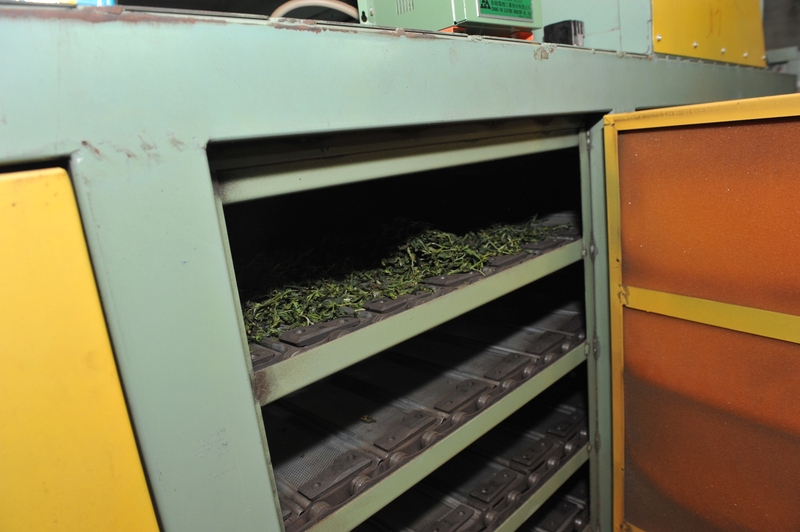 The first drying takes a couple of hours whereas the second drying is much slower to really drop the moisture content below a certain percentage. 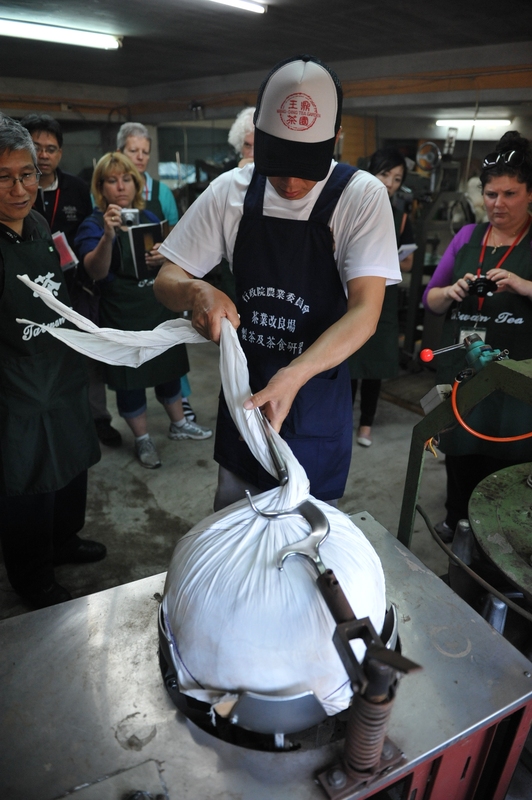 The tea is packed into a large cheese-cloth like bag, twisted, rolled, and separated, twisted and rolled, twisted and rolled. 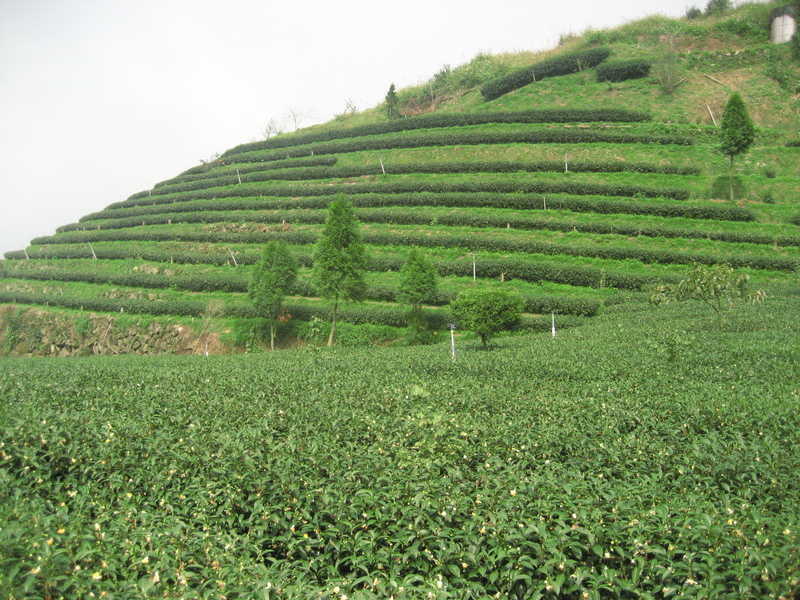 The frequency of such high pressured steps is what gives the tea its final balled-like shape so common to Oolong tea. It slowly transforms from the twisted style as seen out of the dryer, to the tightly packed condensed style you see below. You may have guessed it, and yes, you were right, we had ONE FINAL CUPPING of the night. It was nearly 2am about now. 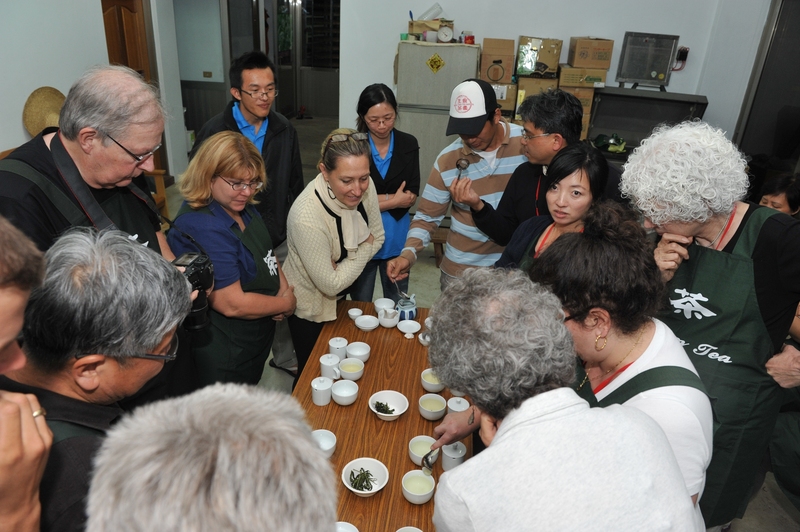 This time around, however, we were cupping our partially finished product versus the farmers partially finished product. You couldn’t see it in most of my pictures, but while we were processing our own personal batches of tea, the farmer and his workers were also processing LARGE volumes themselves. 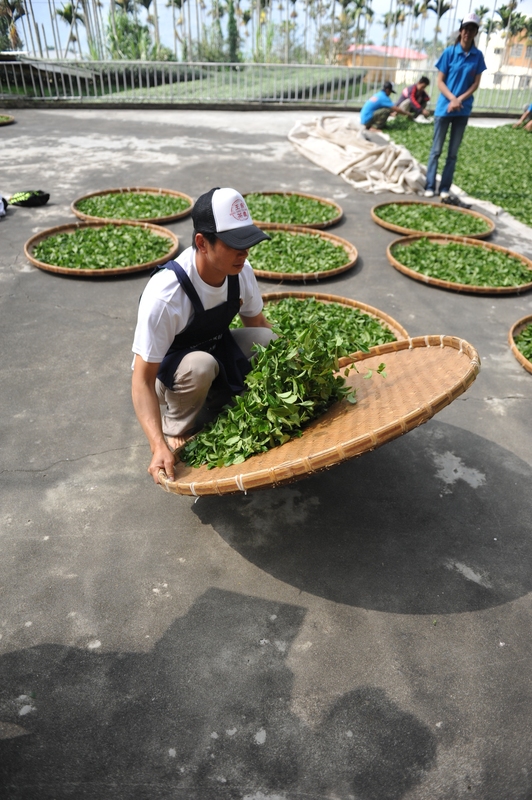 The main difference in our teas was the hand tumbling step, which simply couldn’t be replicated on such a large scale for the workers. Ostensibly, the hand-crafted effect yielded a superior tea, but it’s all subjective I suppose! It’s funny; this post took almost as long as the tea processing itself and I still haven’t sampled the finished product!! And if you thought the events from this post were outrageous, just wait for tomorrow (day 4)…seriously. 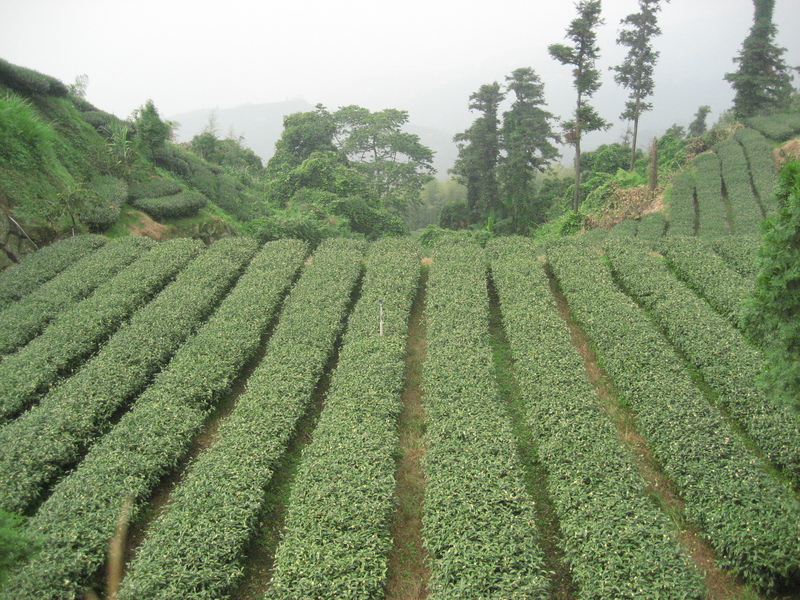 When both the hand of nature and the human hand care for the tea evergreen, it is said that all of the bushes are smiling. 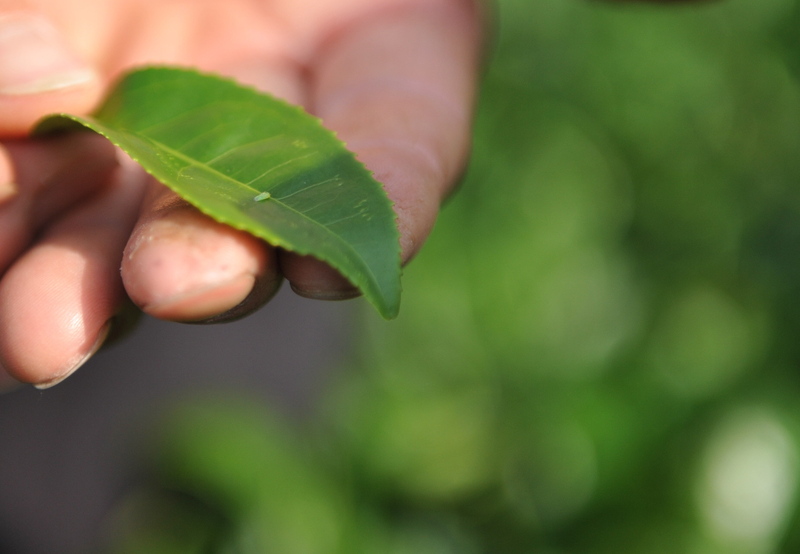 When green leaf-hoppers are offered environments ample in organic nutrients, it is said they are the little angels in the tea garden – responsible for Oriental Beauty. And when Spring arrives, duly followed by flushing tea-buds, it is said that some farmers, hand in hand, sing together among their garden. 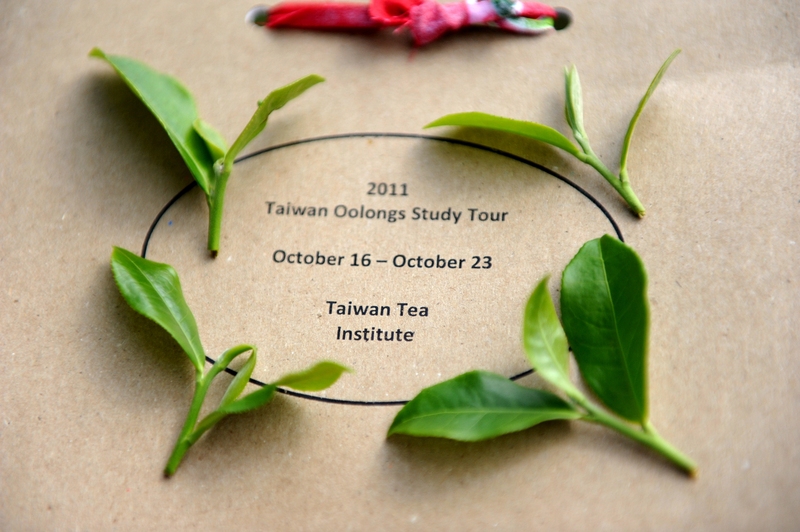 The Taiwan Oolong Study Tour (TOST) is an intensive week long tea sojourn. This was the 4th year for this TOST program. 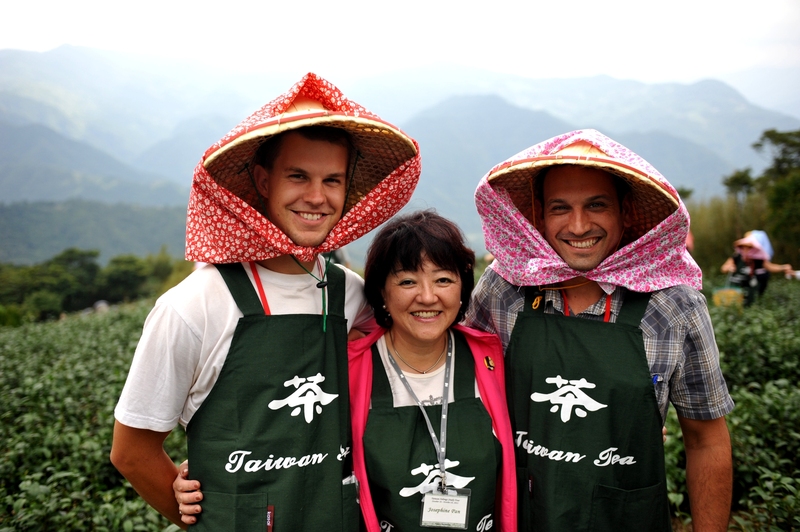 We visit Taiwan’s tea gardens, factories, museums, tea-houses, farms and farmers, scientists, and tea enthusiasts alike. 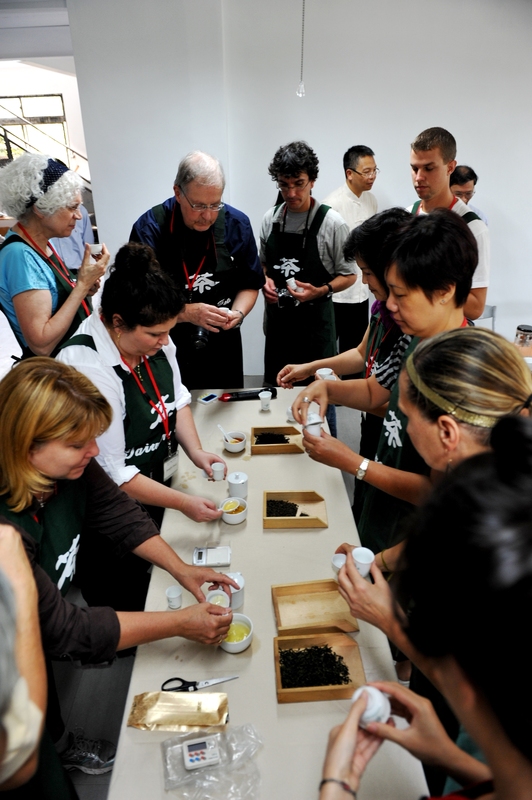 It is sponsored by the Taiwan Tea Manufacturer’s Association (TTMA) and led by Tea Specialist, Thomas Shu of ABC Tea and organized by Taiwan Tea Ambassador, Josephine Pan. 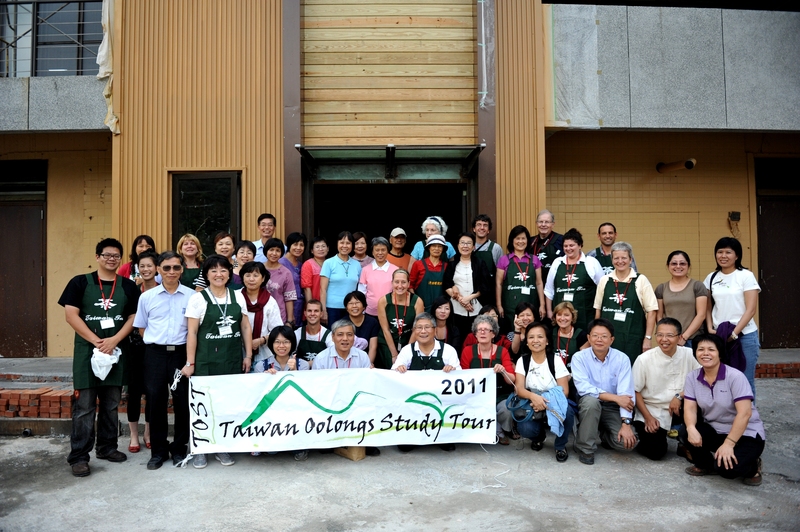 Along with the volunteer help of Tommy Tang and Sunny Tang from Tea Talk – this year’s tour was outstanding! Each day is packed full without a moment to lose – and day 1 was no exception. 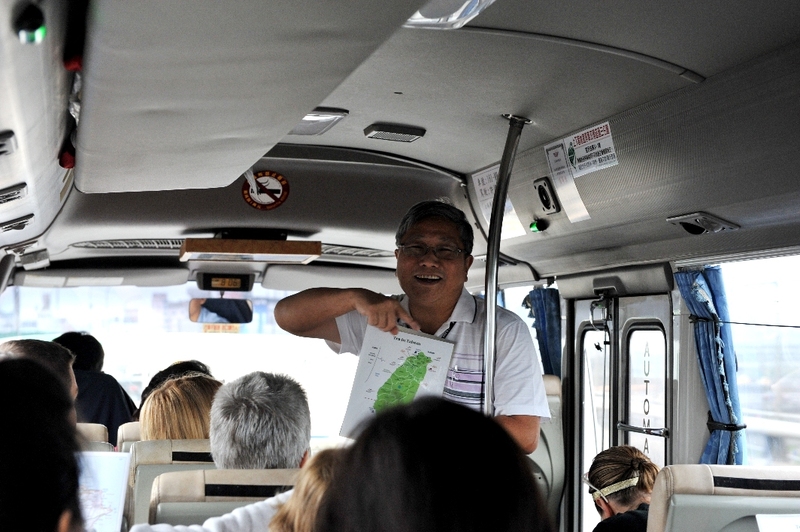 Beginning at 8am, we departed for WenShan Tea Farm. We met a representative farmer who geared us up and showed us a number of cultivars growing on the farm grounds. We strapped on a tea-leaf collecting bamboo basket and hat. While we did pick some tea, we mainly dressed up just for fun, but tea pickers still wear this apparel, along with longs sleeves and other sun protection. 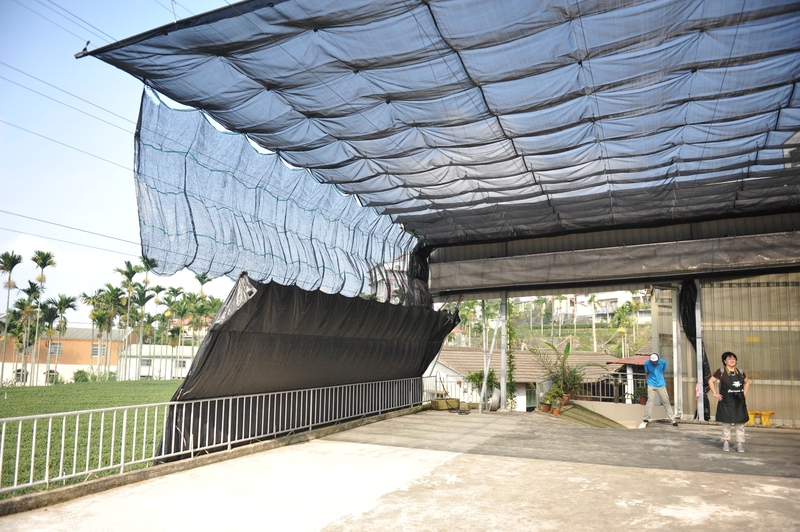 Depending on where you are in Taiwan, you either lie just above or just below the tropic of cancer – meaning it’s hot! 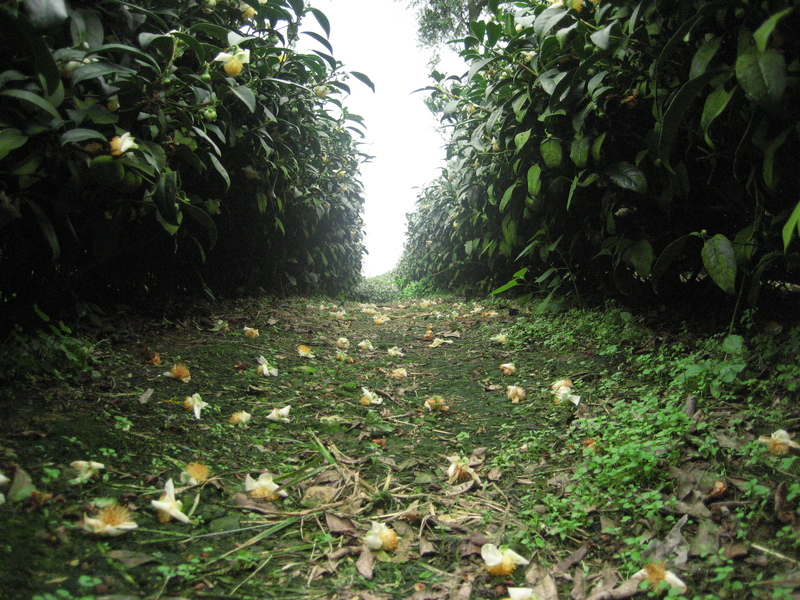 To clarify what I mean by cultivar, let us begin by saying the tea evergreen falls under the species Camellia Sinensis with two main varieties: Sinensis and Assamica (China bush and India bush). 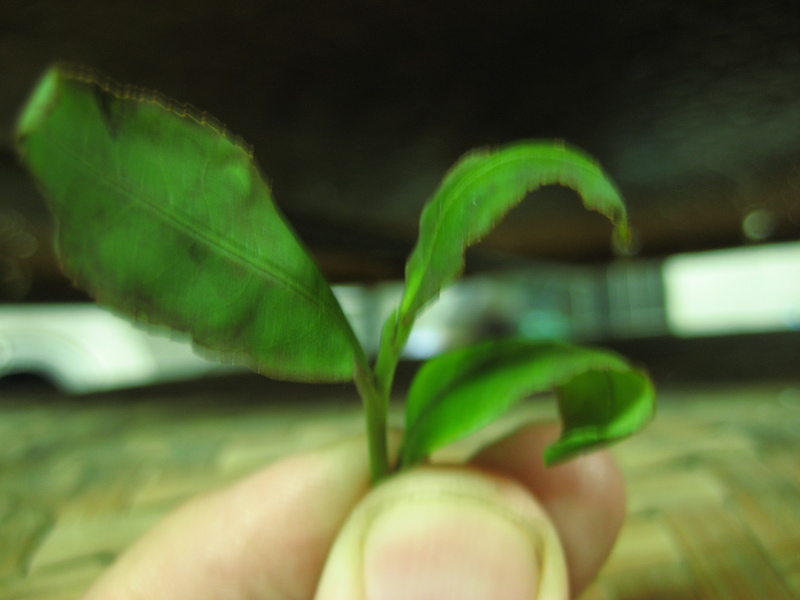 So there is Camellia Sinensis var. 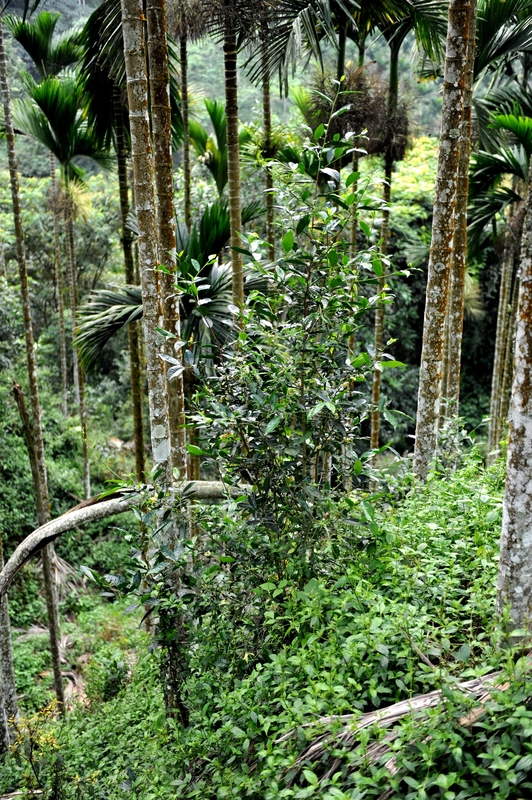 Sinensis and Camellia Sinensis var. Assamica. From the cultivated varieties, there exist cultivars, of which there are hundreds (and counting). New cultivars are ongoing in creation due to cross pollination of varieties and cultivars and experimentation. 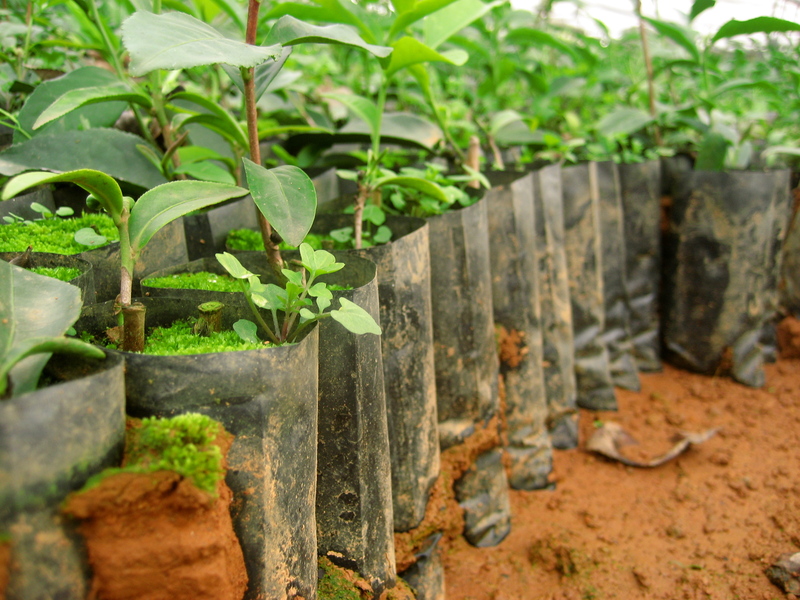 This is why farmers use cuttings for propagation to retain the qualities and strengths of a particular cultivar, whereas propagation by seed can lead to inconsistent resultant cultivars. This has the advantage of potentially generating new and strong cultivars over great amounts of time, but also the disadvantage of generating weak and less desirable outcomes. When consistency matters, cutting is the way to go. 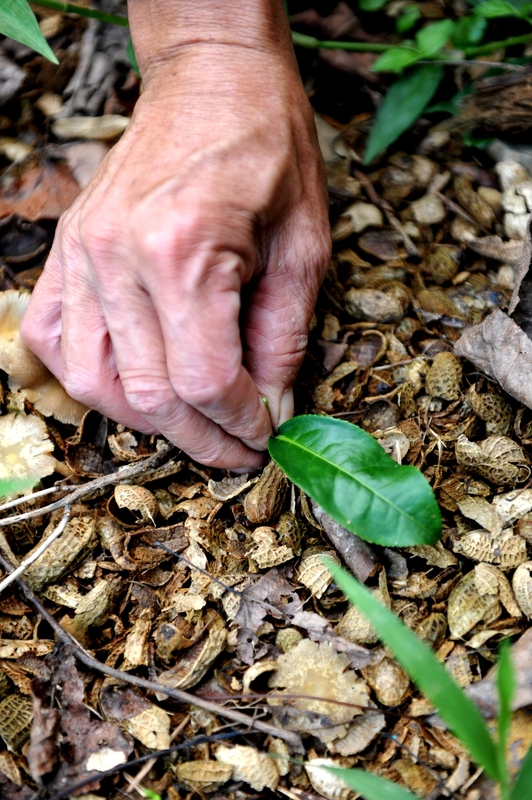 After picking some leaves in a small garden, we took part in our first cupping. I should mention now that cupping tea is quite different from tasting tea. 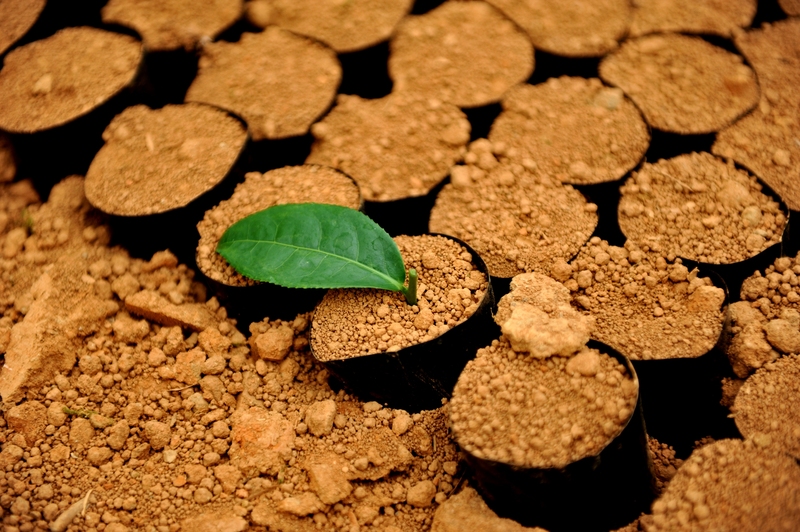 Cupping is more standardized in terms of the quantity of water and weight of dried leaf, as well as the temperature of water and the steeping time. 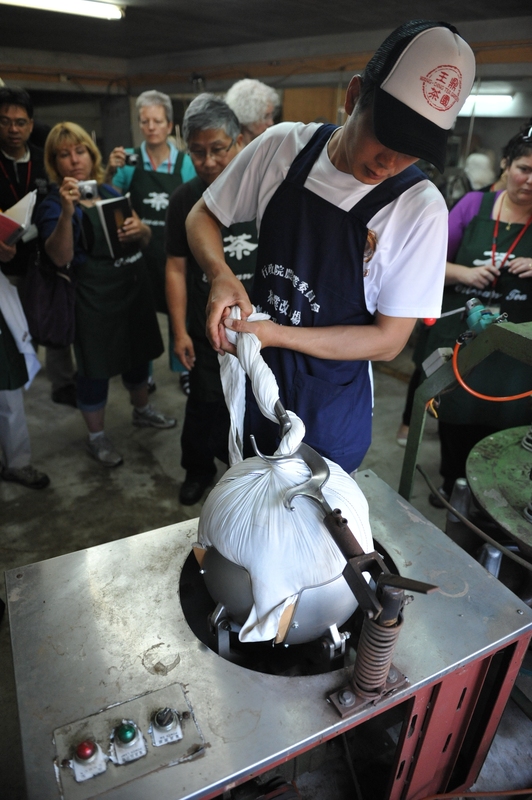 The same cupping perimeters are applied to all teas. 3g of tea, 5 oz (150ml) water, steeped for 5 minutes, decanted without a fine filter to observe any leaf deposit. Usually one will smell the steeped leaf and proceed to sample the liquor with a very petite cup, slurping to aerate the tea over the palate. 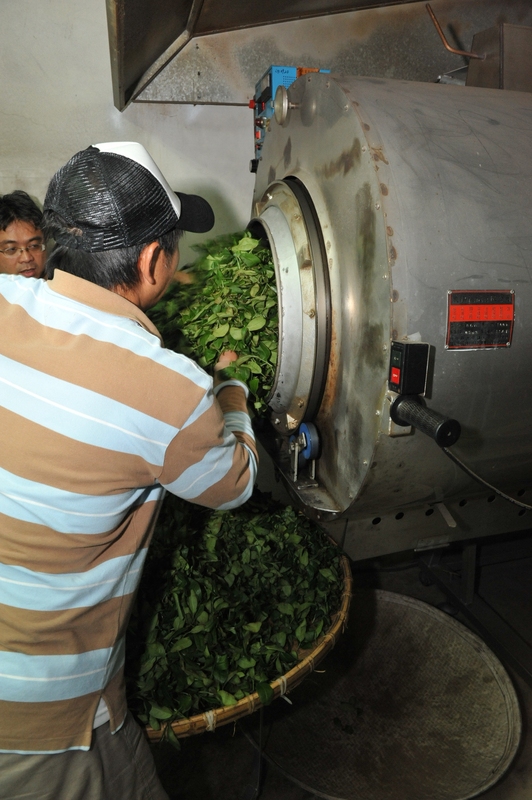 Technically, one could also view the loose leaf, smell it, and even shake it in such a way as to reveal any crushed leaf – using that in the infusion to better gauge what the real product will look, taste, and smell like. 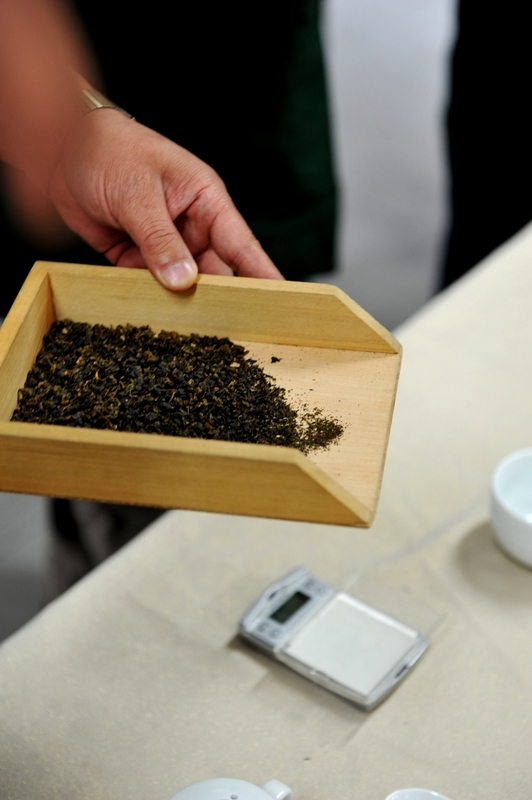 This technique is used when buying tea; it brings out everything the tea has to offer, from astringency to aroma, bitterness to color, sweetness to body, and everything in between. 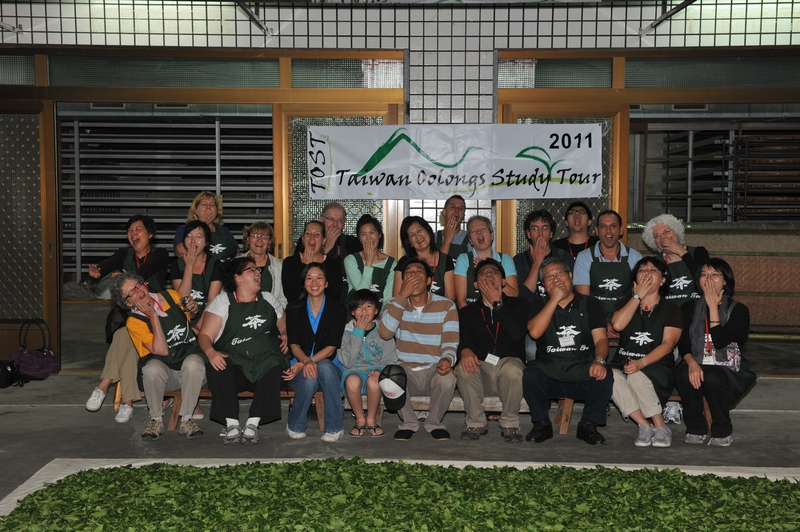 Cupping and discussion concluded our time at WenShan Tea Farm, but not before a group photo! Surely not the end of the day, however; onward to Tsu-xin Organic Tea Garden for a power point presentation followed by lunch. 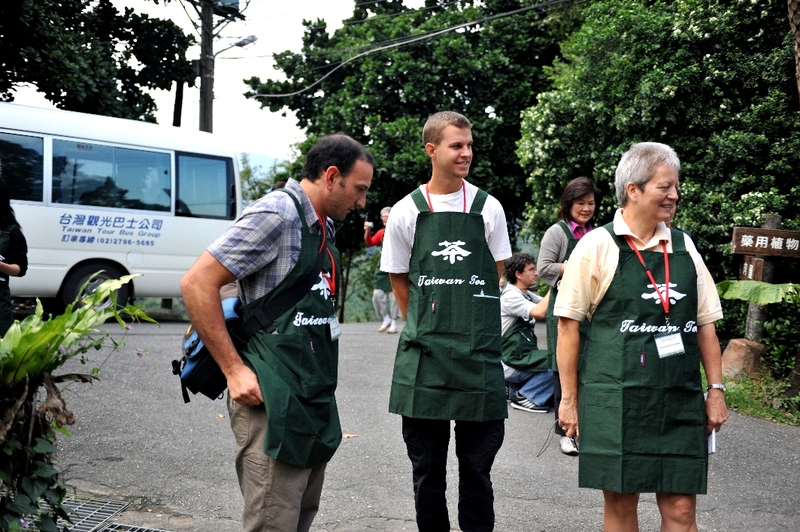 The people at Tsu-xin help conventional farmers convert and make the transition to organic farming. The transition is time-consuming and costly, so farmers need support to make the effort because as it stands in Taiwan, going organic for the sake of health and sustainability isn’t enough of a motivating factor like it is in the West. 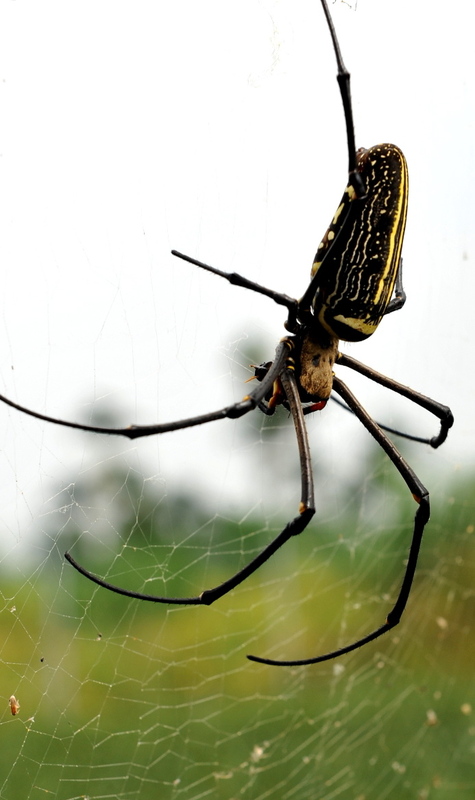 Yield will almost always take a blow during the transition from conventional to organic because pests will accumulate in the absence of pesticides until equilibrium naturally takes place. 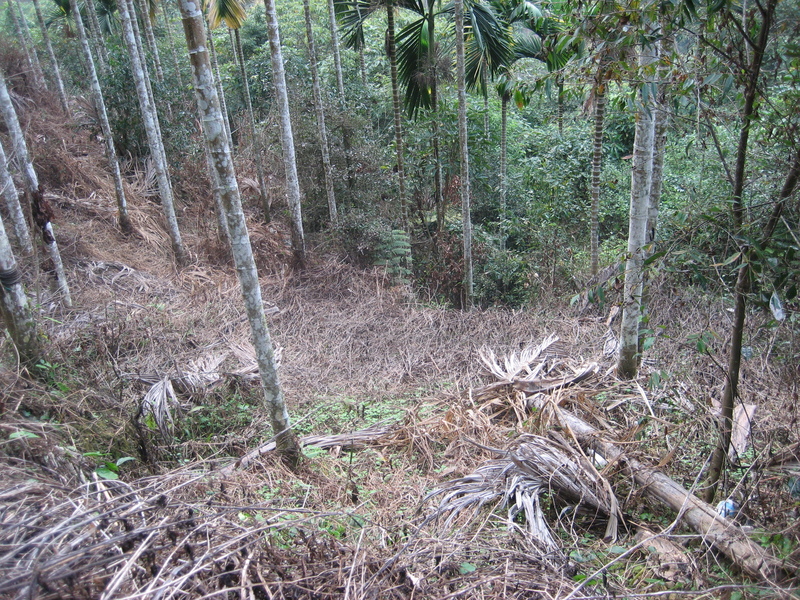 Ruined soil has also shown to take about three years to reach a natural healthy state. That’s where the members at Tsu-xin come in, which is a great to see!! A tea-infused meal was prepared for lunch. 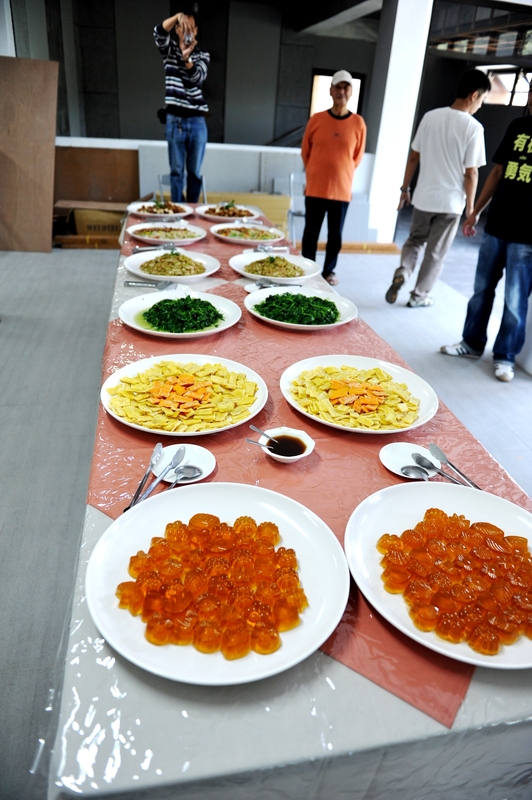 We had rice prepared in tea, tea powder for topping, and oolong tea jello, among an array of many more outstanding dishes! Some of the best food of the tour, and it was only the first day! Our time wouldn’t be over without another cupping session and group photo. Off to two more tea gardens where we dressed up again. I’ve forgotten, but I believe we were looking at examples of conventionally farmed gardens and transitional gardens (becoming organic). This one’s for you, Mo! 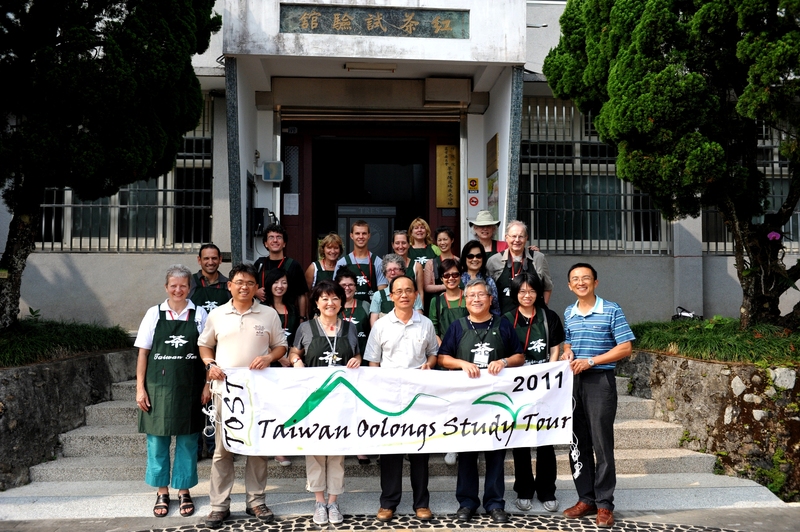 Then we finally made our way to one of many: Taiwan Research Extension Stations (TRES), a center where scientists and tea masters conduct study, research, and experiment with the intentions to improve tea plantations, develop new and better cultivars, and to educate consumers within the tea industry. That was about it for day 1, minus the last cupping and group photo which I will leave out of this post. If I thought I knew anything about tea before, I learned quite a few more lessons on this day, and other things I “knew” were either confirmed or thrown out the window! Amazingly, the tour only got better from here – MUCH better. University is a place of learning. It essentially teaches one how to learn. This is great, but too much attachment to learning, in my opinion, can establish preconceived notions. How is it, that one can break down such preconceived notions to observe reality with a renewed sense of perception? Without judgment, and thus, with creativity. Where can I learn how to unlearn? 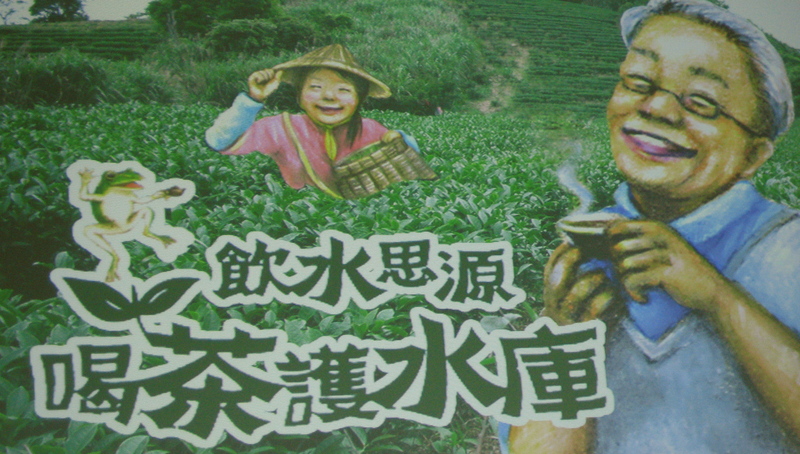 I had a small insight today in Taiwan: Tea can teach us unlearning. A wonderful aspect of tea is that she will forever change. No one tea can ever be drunk again. 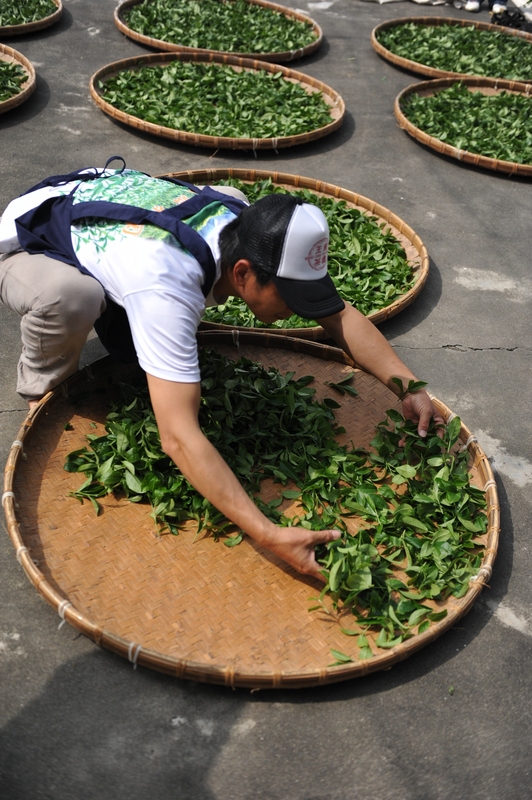 Every harvest, the orientation of elements that tea is subject to can never be re-created. The clouds will differ; the sunlight will differ; the plucked leaf will differ; and ultimately, even if processed exactly the same way, the tea will differ, and so tea can teach us to let go of our expectations. Tea tells us that rivers have risen and fallen, birds have eaten the insects, weeds have loosened the soil, and the winds have come from afar – the forever-changing content of nature is somewhere in this tea. This is why the static image of two leaves and a bud is actually dancing. Approach this tea as if you have never approached it before, because you haven’t. Drink this tea as if it is the last cup you will ever drink, because it is. 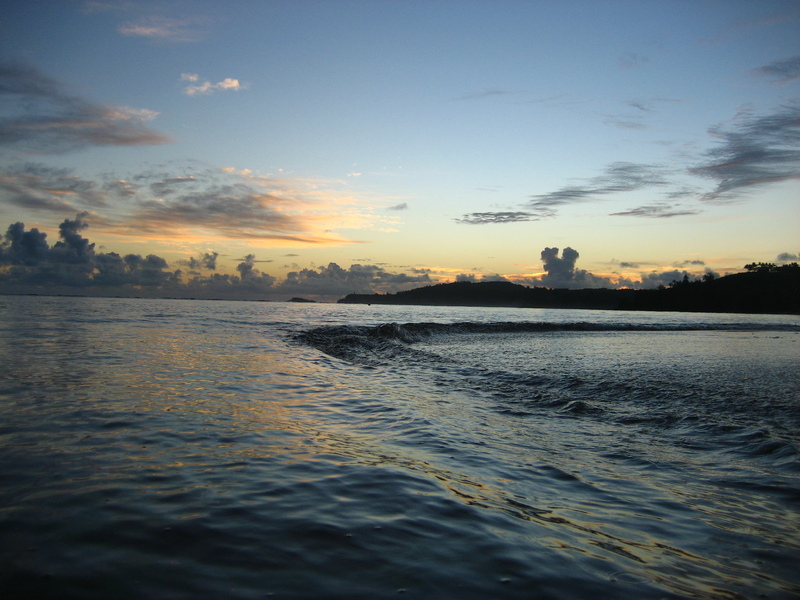 In this blog, I will attempt a writing style clear and flowing without adjectives, with the intention that the written structure should reflect the content, say of a sea-turtle ebbing into your vision and flowing back out. I’m trying to tell you, like the bleat of a goat, if this were the content, then the structure too should call for attention. Because I’m hungry. Because I see you. Because I’m bored. But I can’t just say ba’a’a. It’s not about telling; it’s about showing. If the content is short and terse – so is the sentence. I was recently at Anini beach, camping out for a couple of nights, snorkeling in the ocean, taking a vacation from my vacation in a manner of speaking which gave me time to do the things you actually imagine doing on vacation – nothing – but of course I did some things like swim with sea turtles through coral channels and talk with beach-folk and lie on my back on the sand watching for – and if I can’t use adjectives to describe the suddenness or length of an observed shooting star interrupting my wandering thoughts for a moments’ silence…. then maybe the chosen written style can somehow pull that off…. Upon reflection, I guess the point is to impart that effect without having to explain it along the way. In other news, I’ve been doing a lot of updating on Cloudwaters’ website with pictures and flavour profiles, adding new links here, new pages there. It’s still under construction mind you. I’m no website designer – and I’m not writing code – but with access to google analytics and simple website editing tools one can do a lot with respect to updates, and optimizing and increasing traffic flow. I have access to an SLR camera, but it would be nice to understand lighting a little better and to have a background in photoshop. 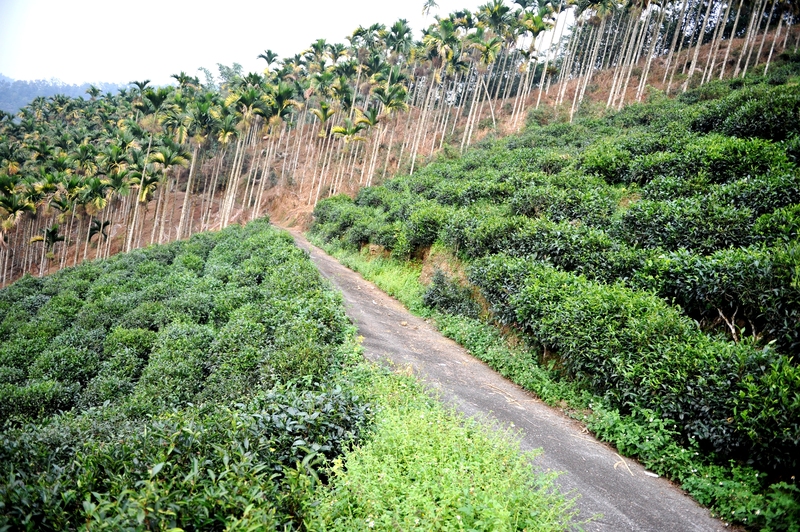 One new feature in particular is going to set this tea farm and website apart from all others. I’ve never seen anything like what Cloudwater will soon have to offer – anywhere else.